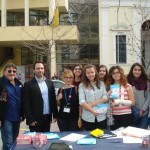 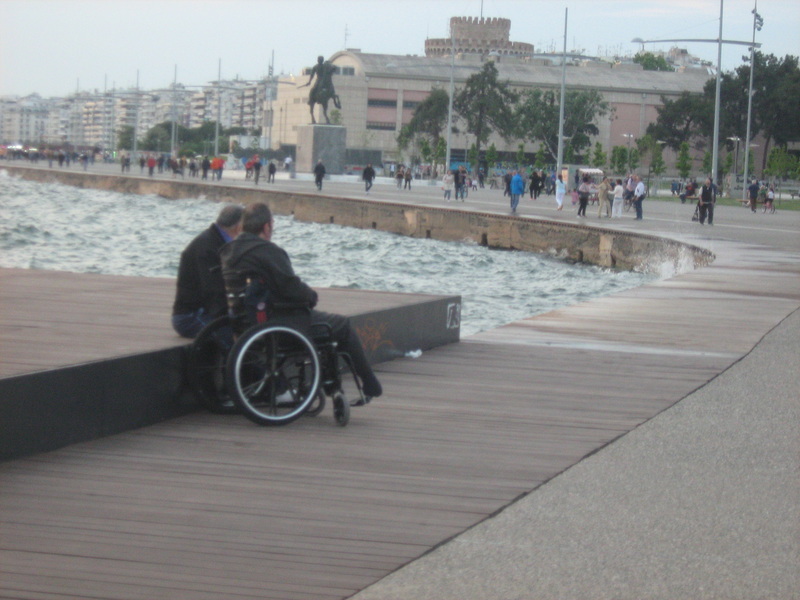 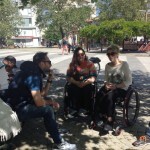 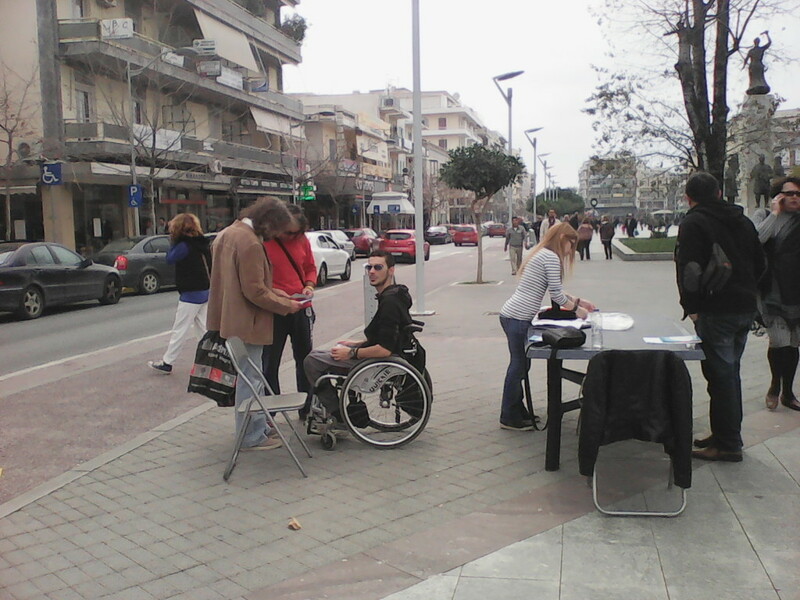 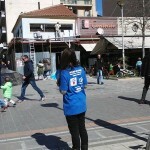 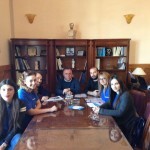 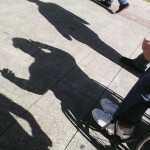 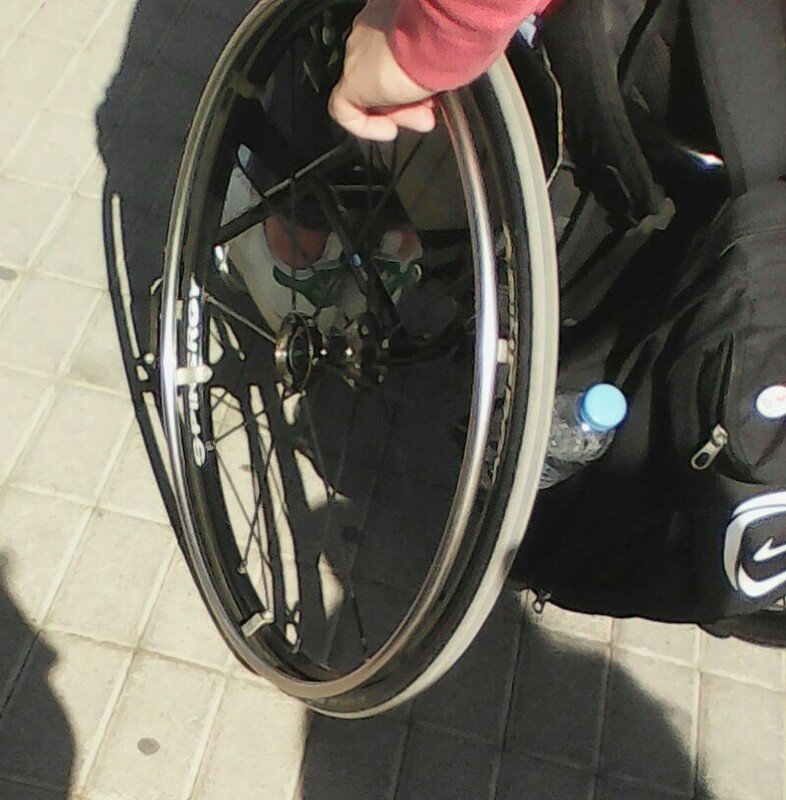 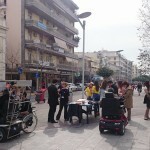 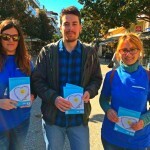 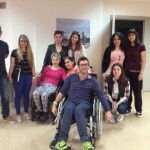 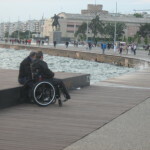 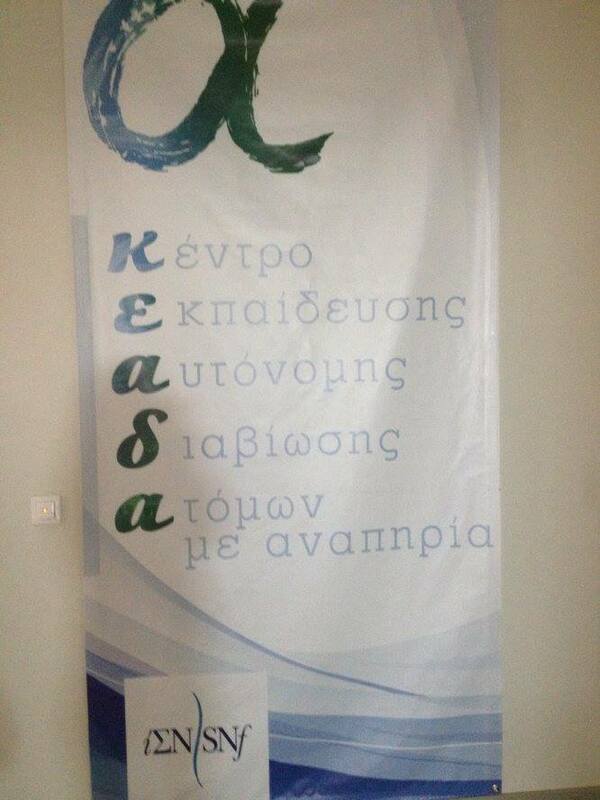 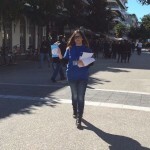 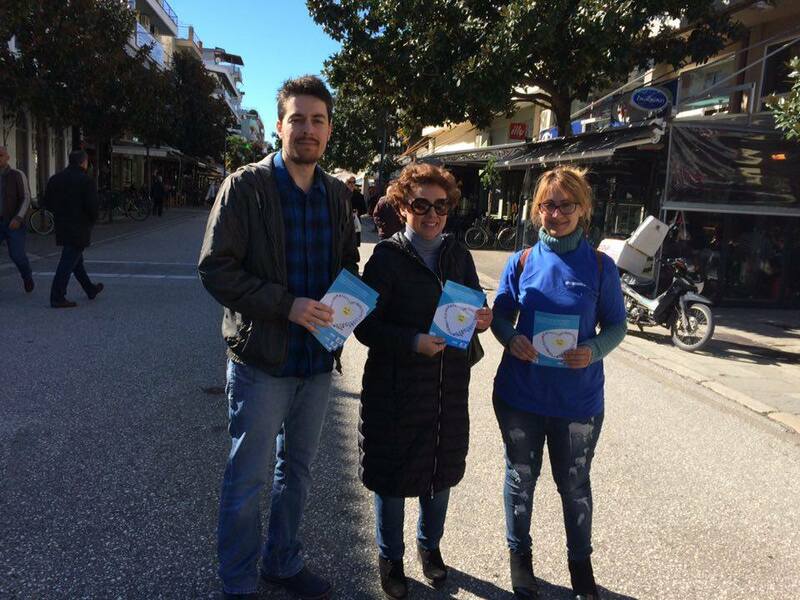 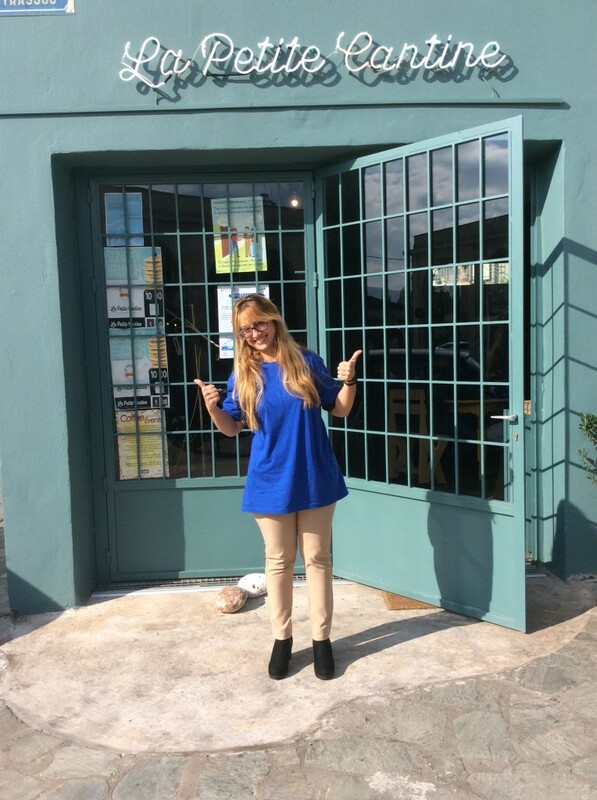 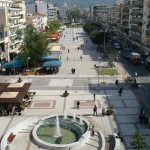 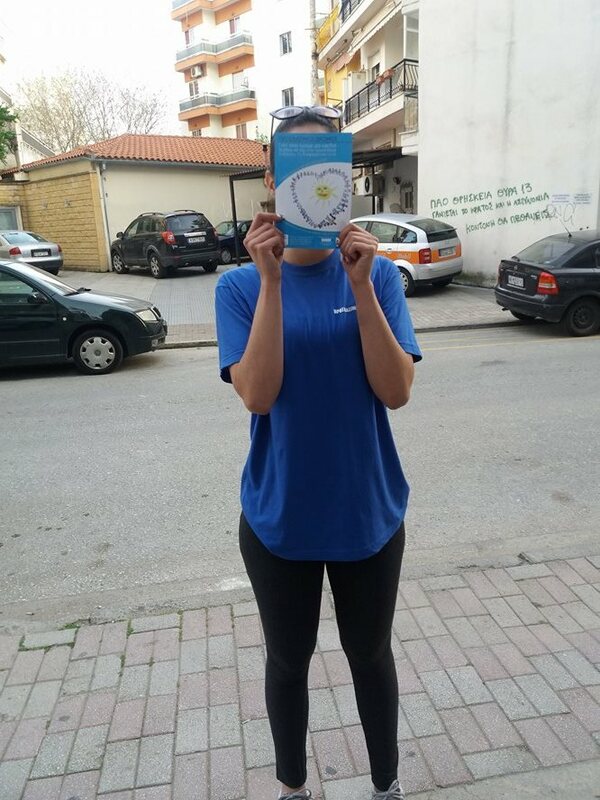 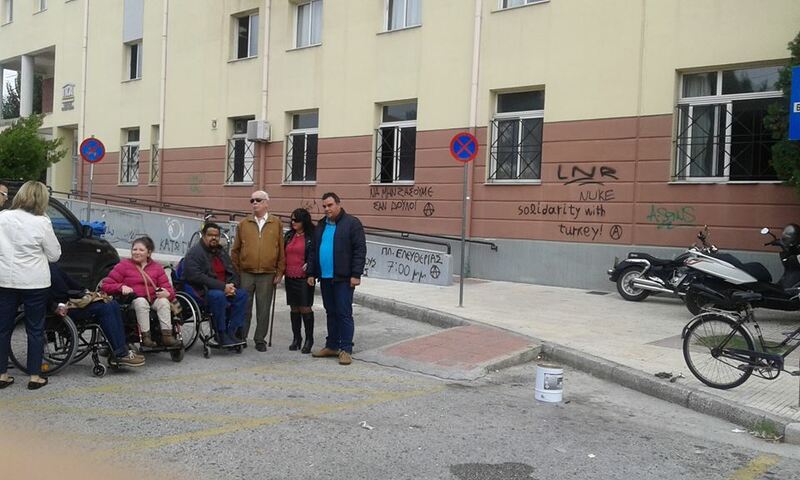 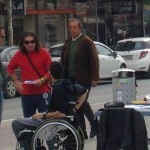 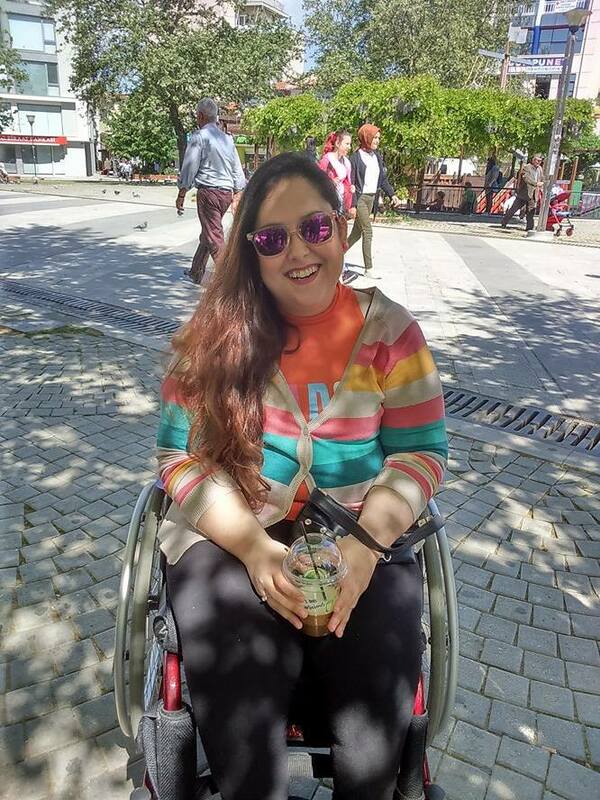 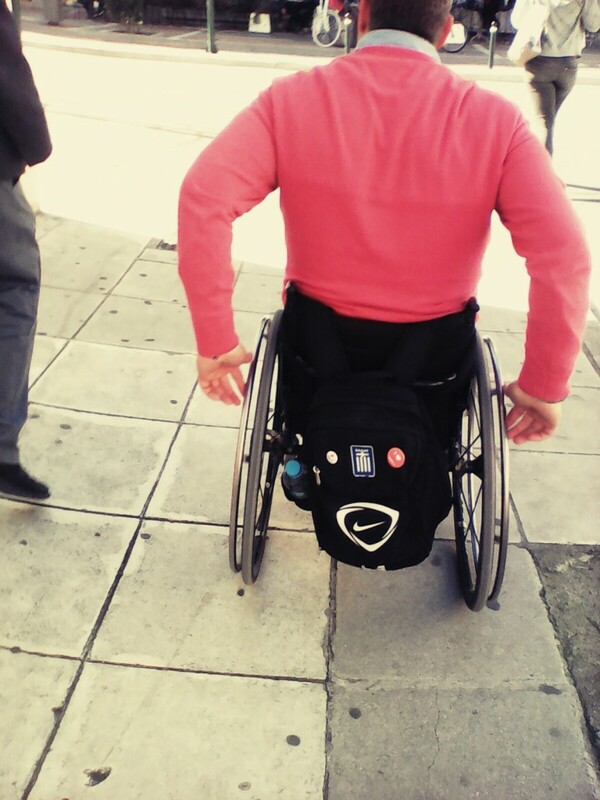 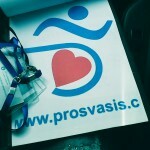 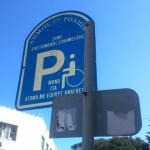 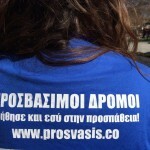 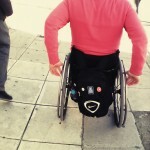 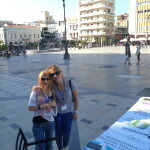 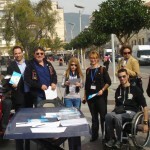 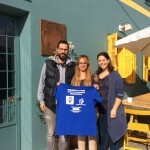 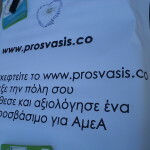 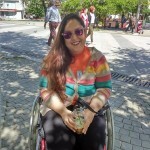 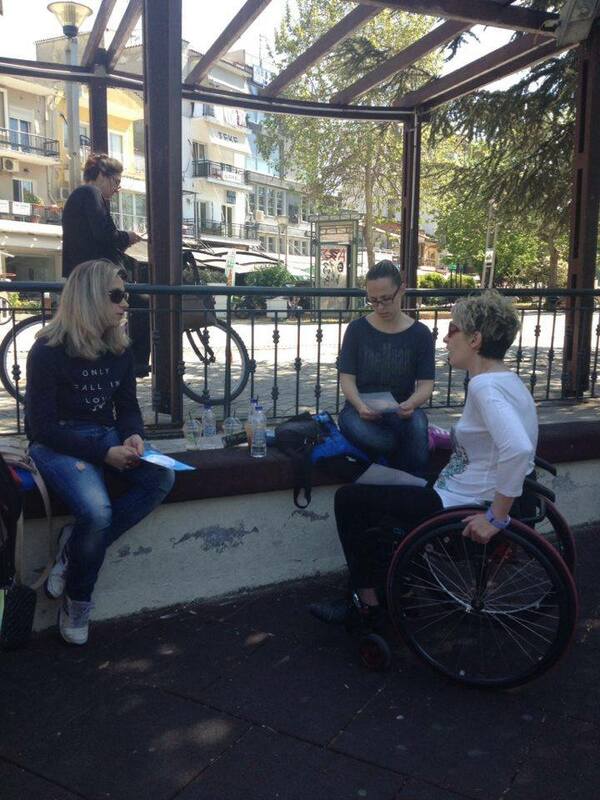 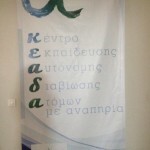 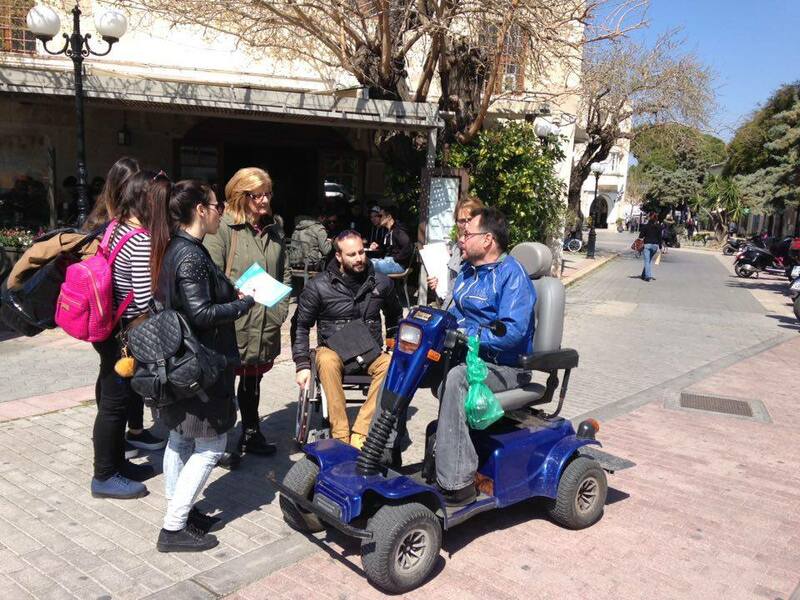 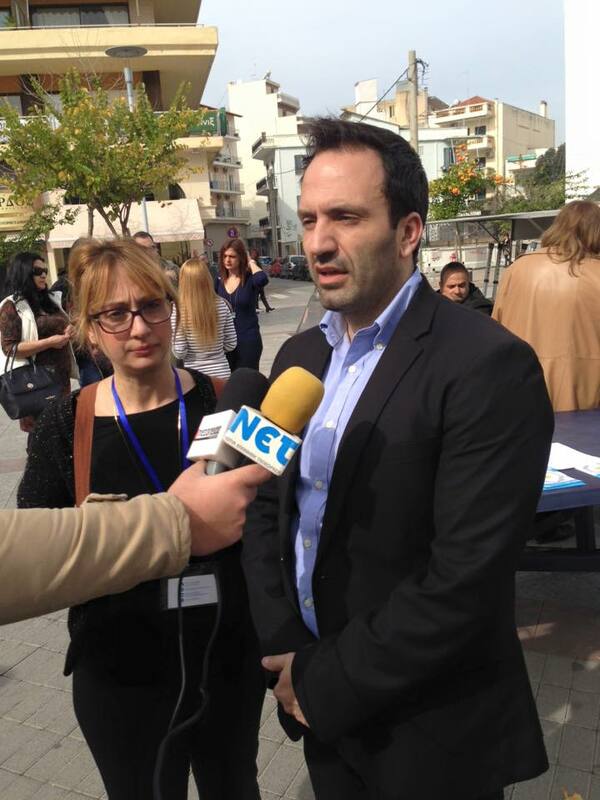 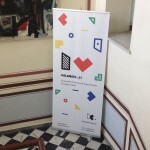 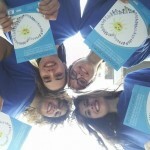 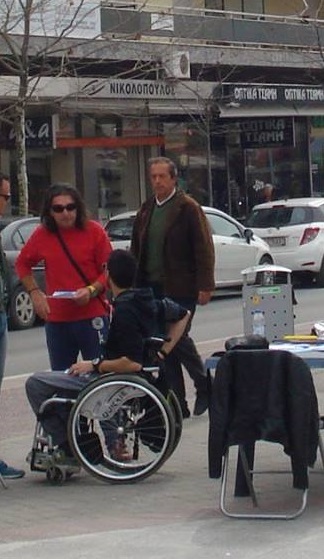 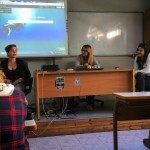 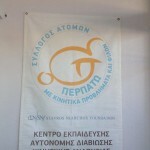 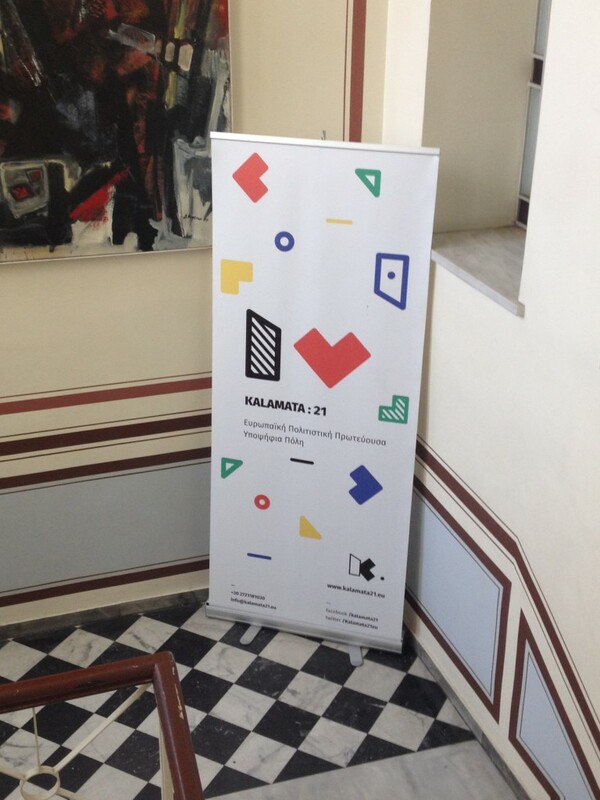 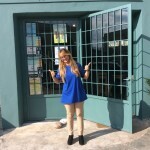 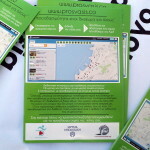 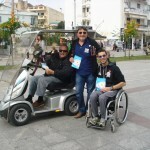 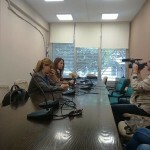 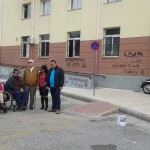 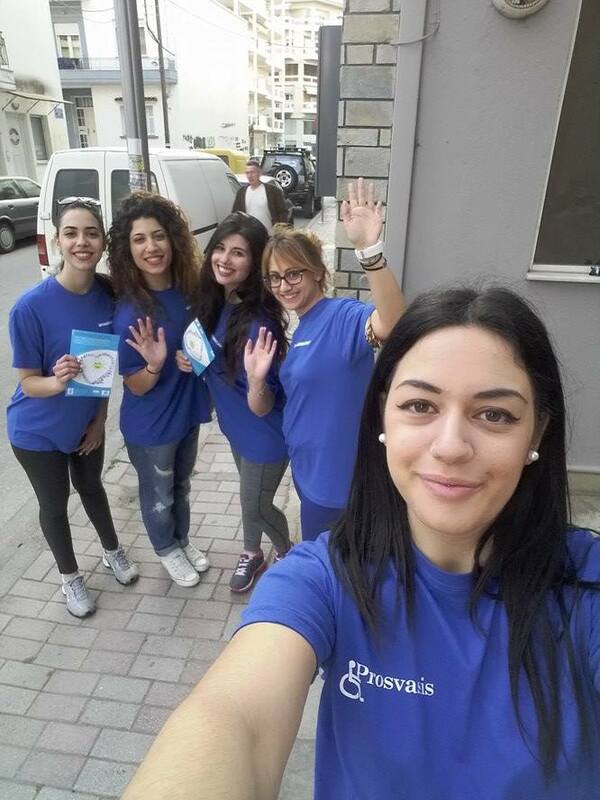 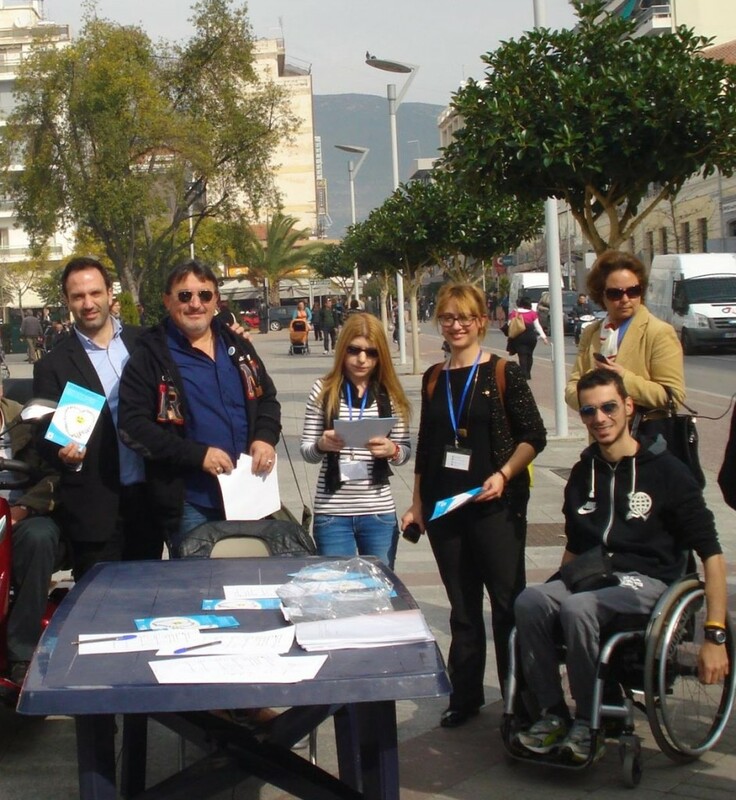 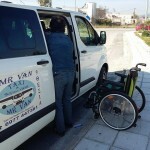 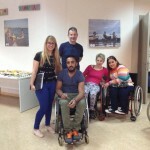 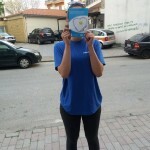 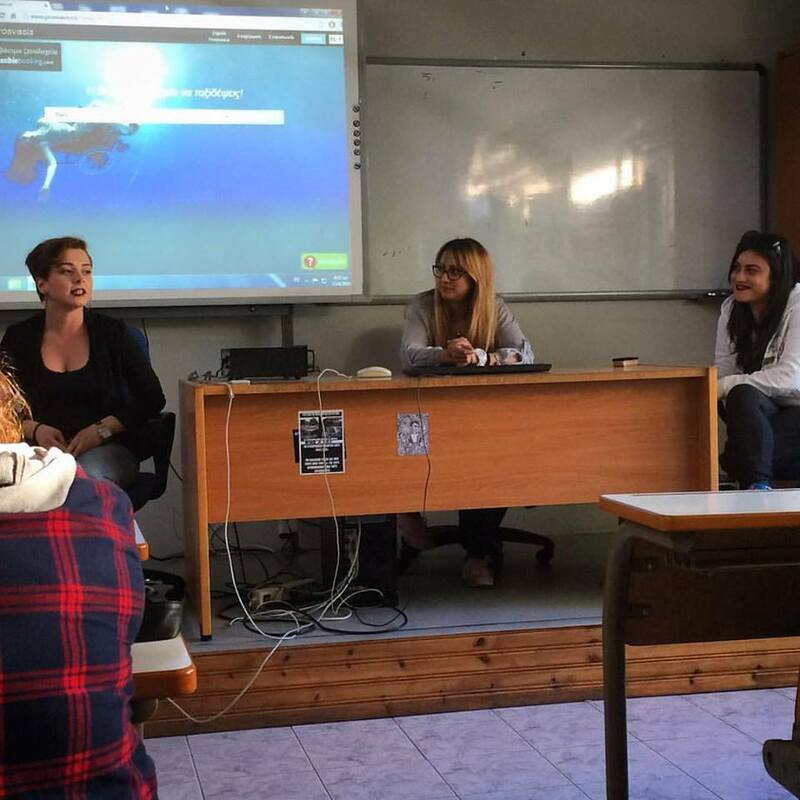 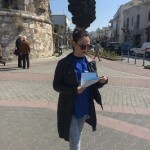 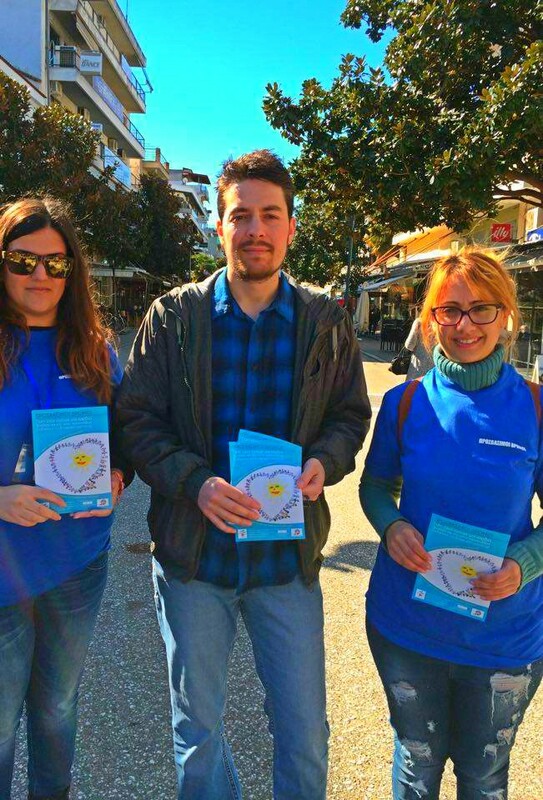 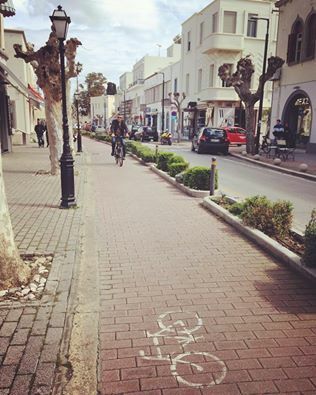 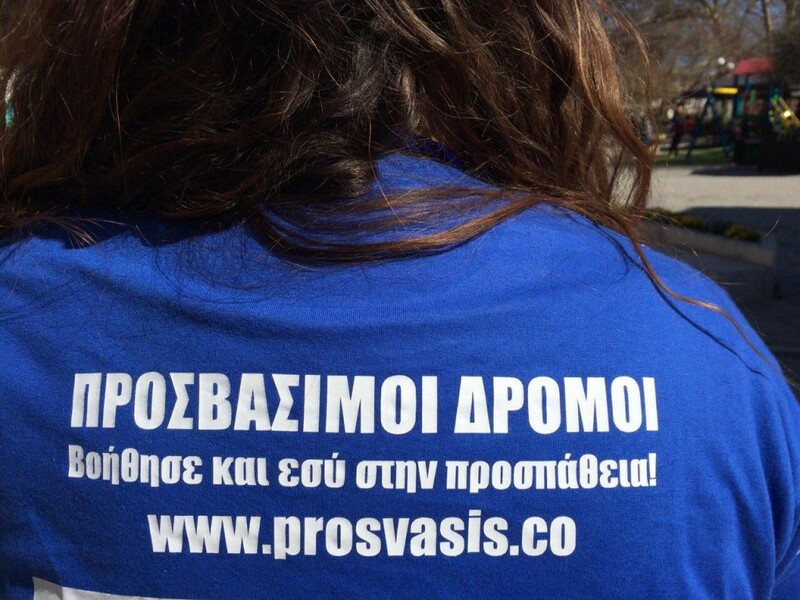 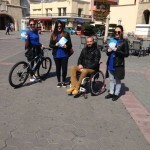 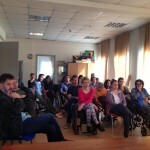 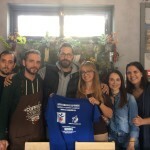 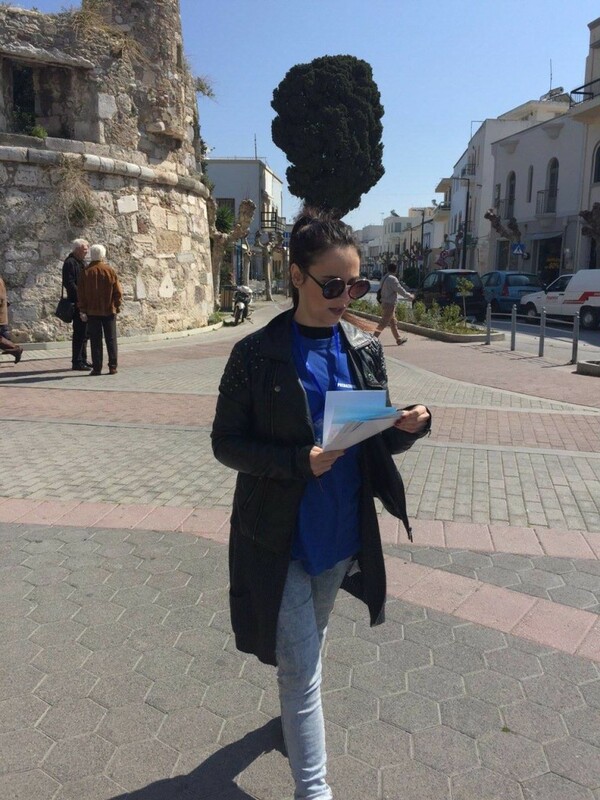 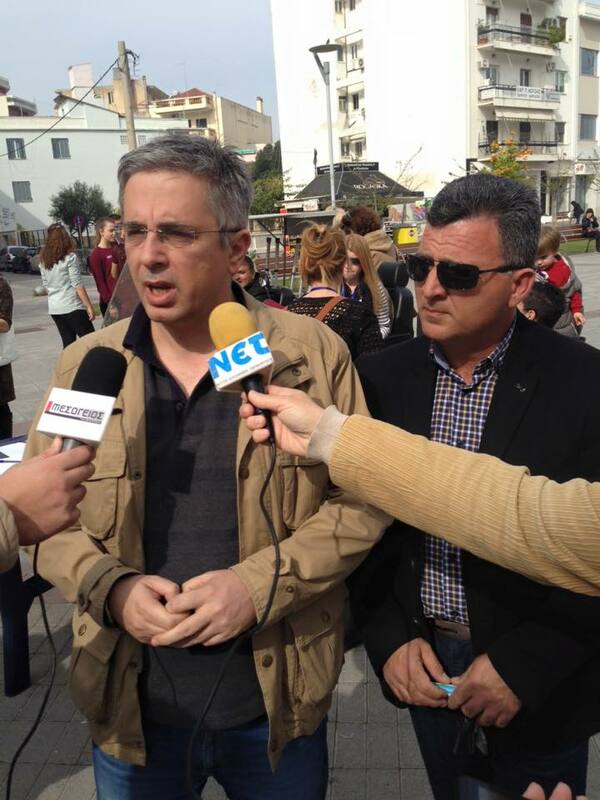 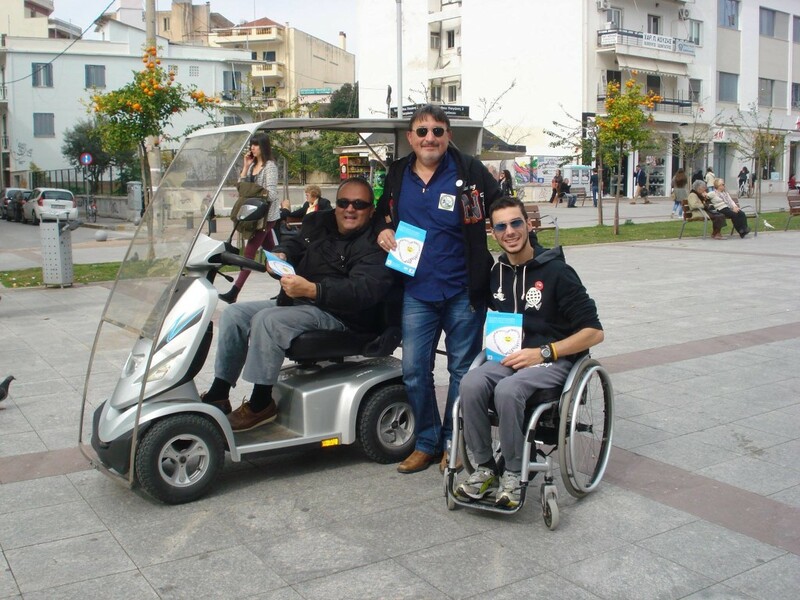 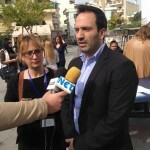 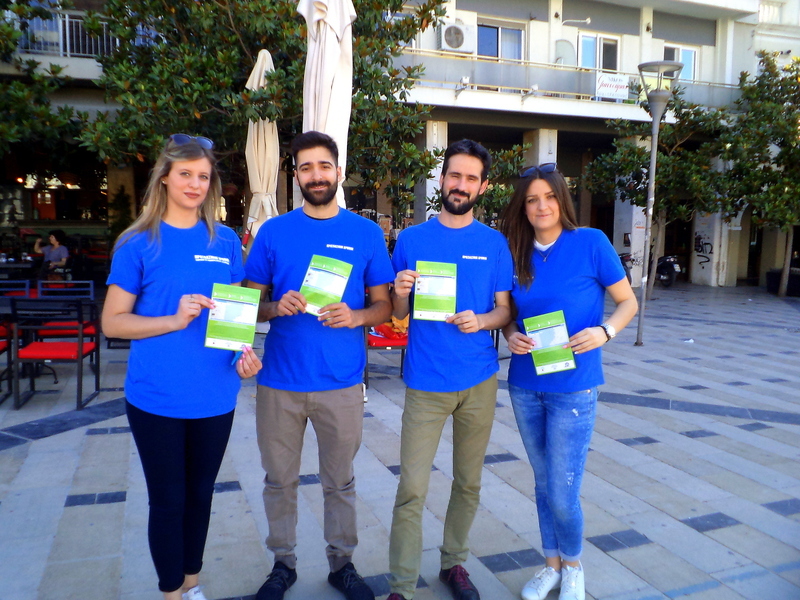 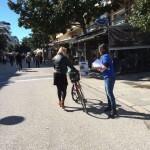 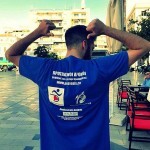 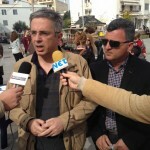 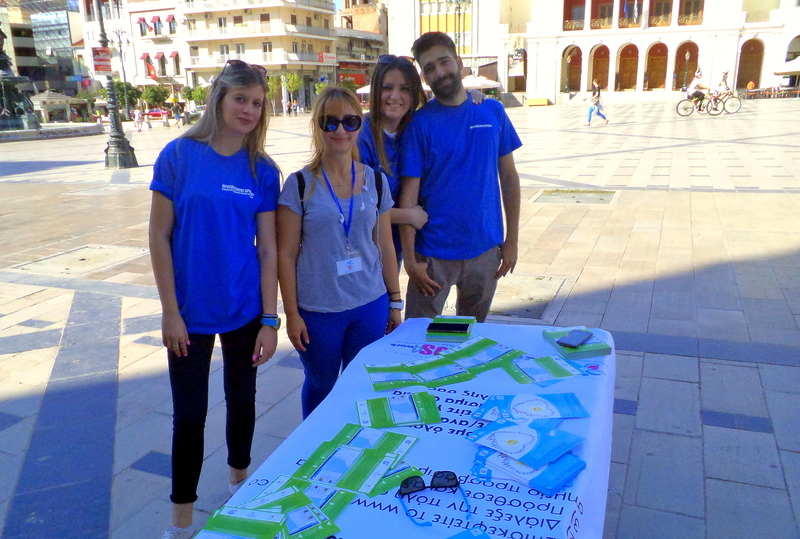 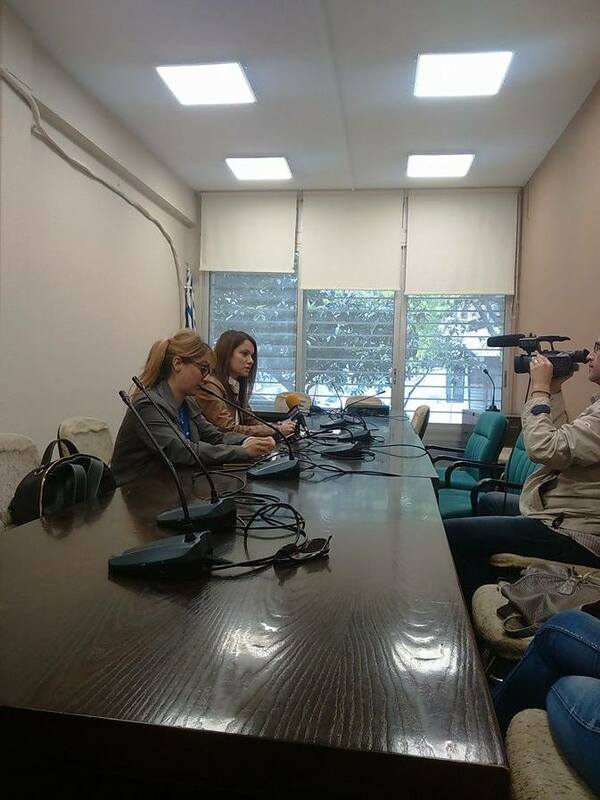 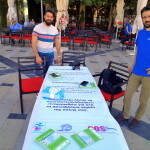 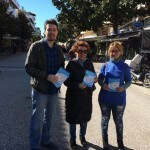 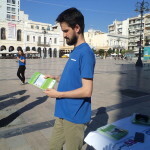 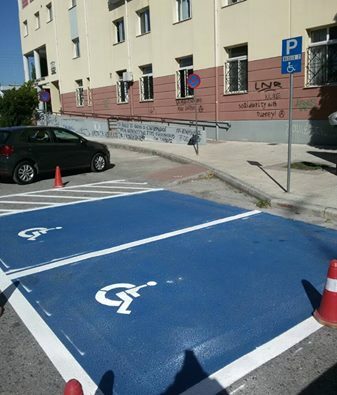 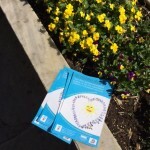 In 2015, Prosvasis Platform (www.prosvasis.co) & InterMedi@KT (www.intermediakt.org ) developed a new proposal for mapping and creating a digital database of all the accessible spots and services for people with disabilities in nine Greek cities (Kalamata, Trikala, Karditsa, Thessaloniki, Komotini, Kos, Patras, Rhodes and Volos) called Accessible Routes. 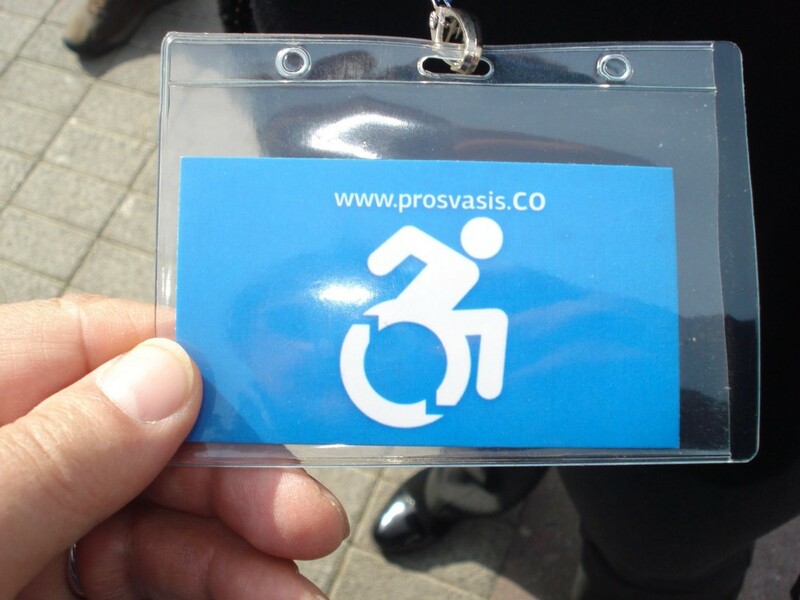 Through this new online platform, all accessible infrastructure and services will be documented, including hotels, restaurants, cafes, museums, parking spots, cinemas, sidewalks, and playgrounds, beaches, schools, and administrative offices in those cities. 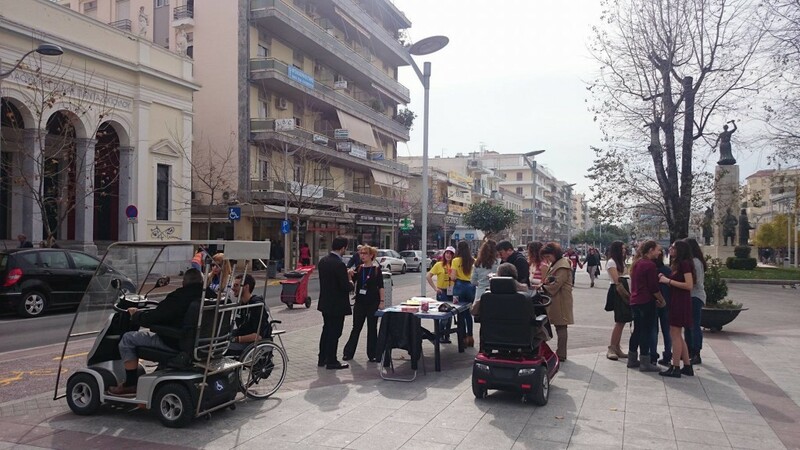 The second phase of the project will be a campaign to raise awareness for disability rights in those cities and to encourage local communities to participate in the ongoing mapping process. 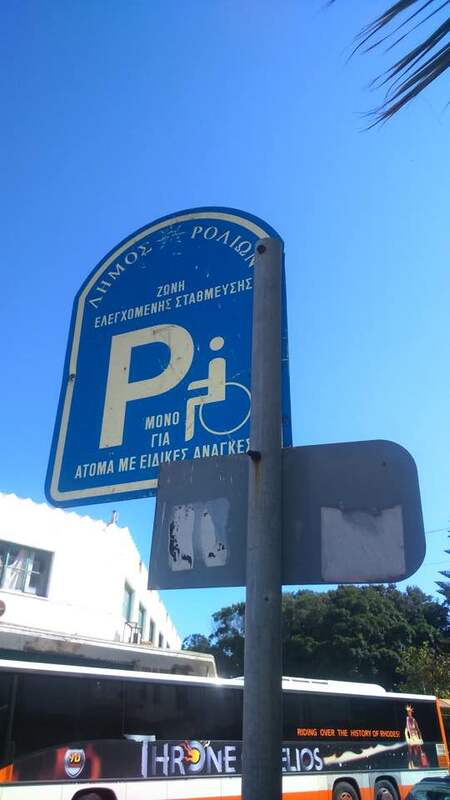 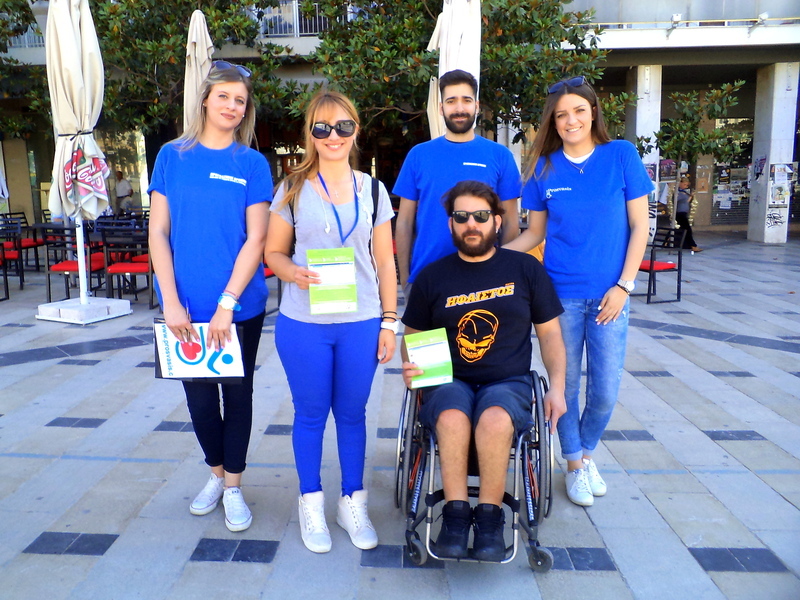 With this project, Prosvasis will be able to map all accessible points of interest in a systematic and official way and promote the rights for people with disabilities around Greece. 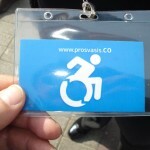 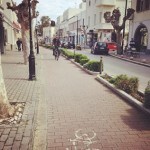 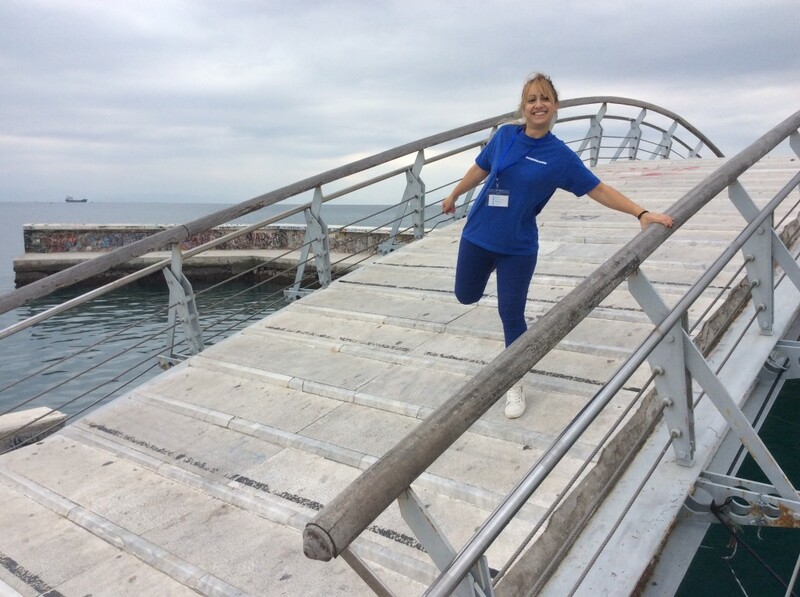 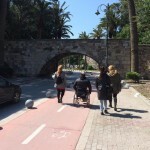 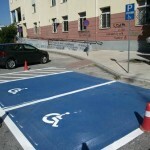 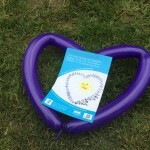 The project “Accessible routes” was launched last February. 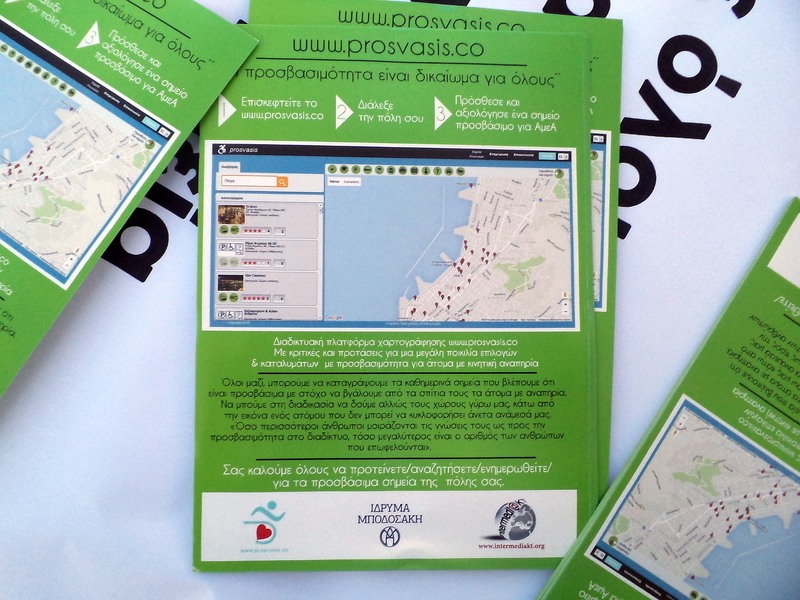 By July 2016 we saw the successful completion of its first phase, the systematic mapping of nine Greek cities. 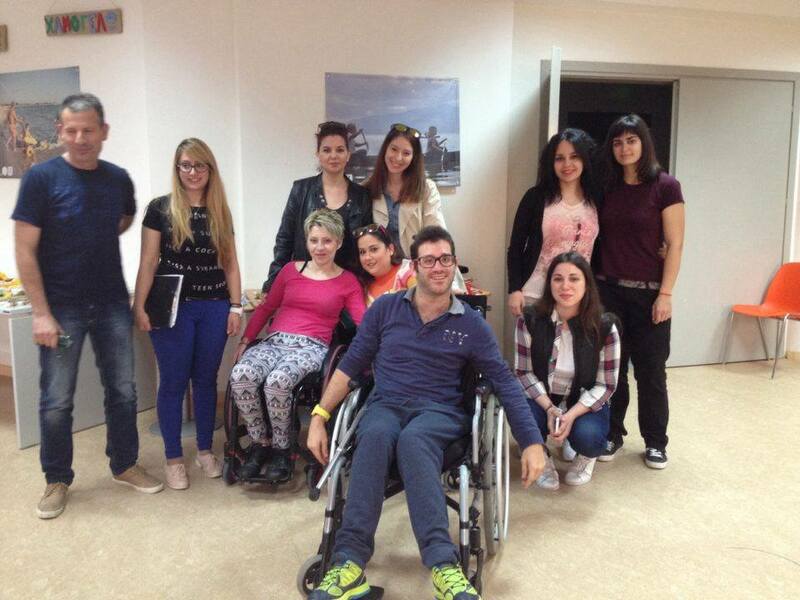 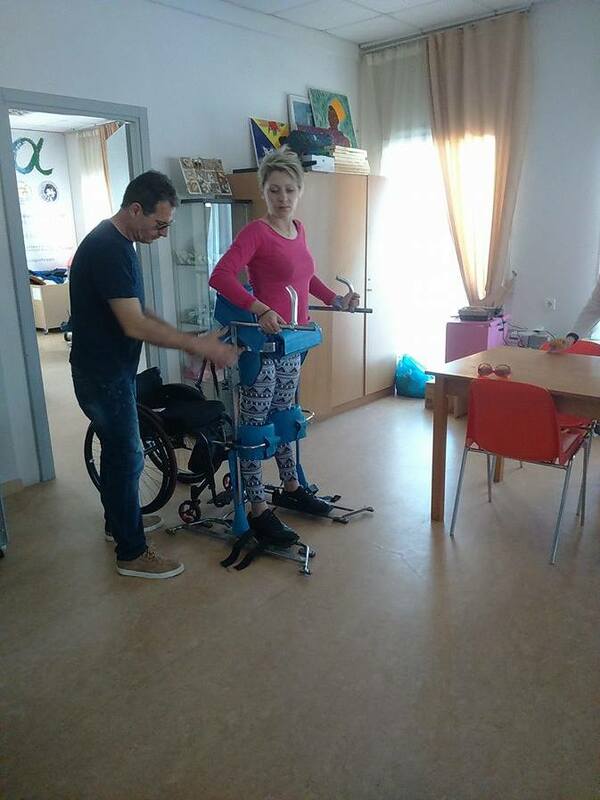 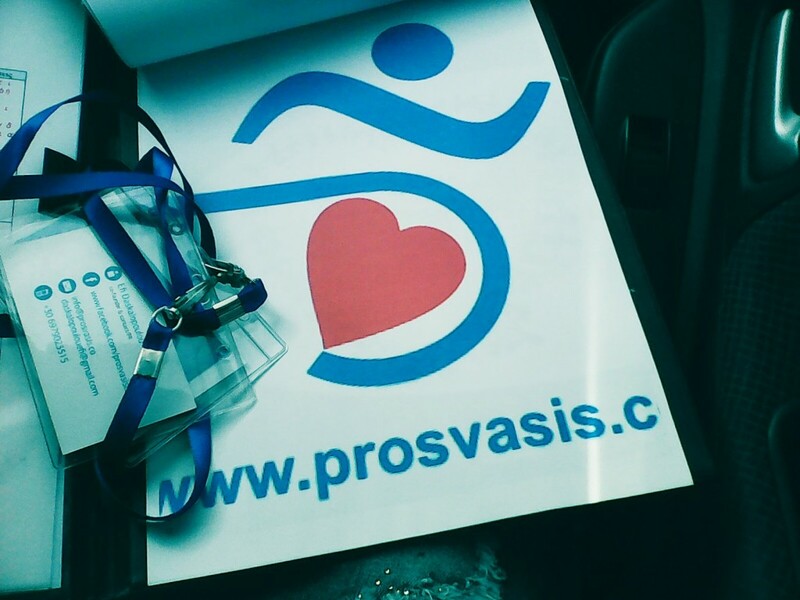 Prosvasis platform was upgraded to a more user-friendly tool, for both people with or without disabilities and our team gained a load more training and expertise. 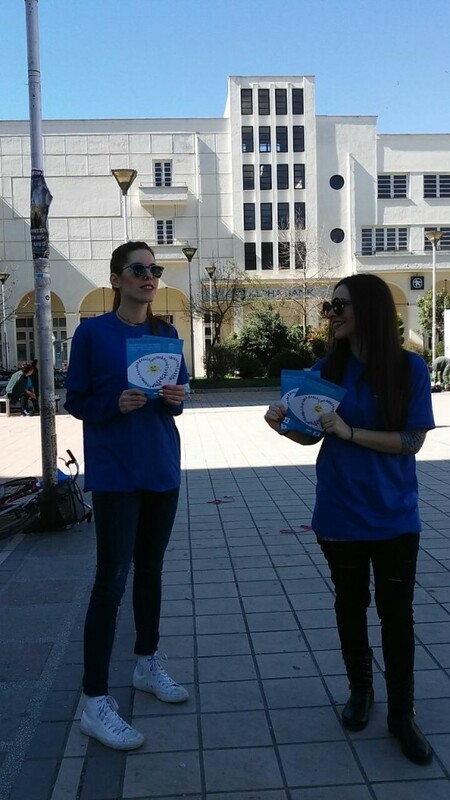 To our pleasure, the first phase of the project met with a strong public support and attracted more users of the online platform. 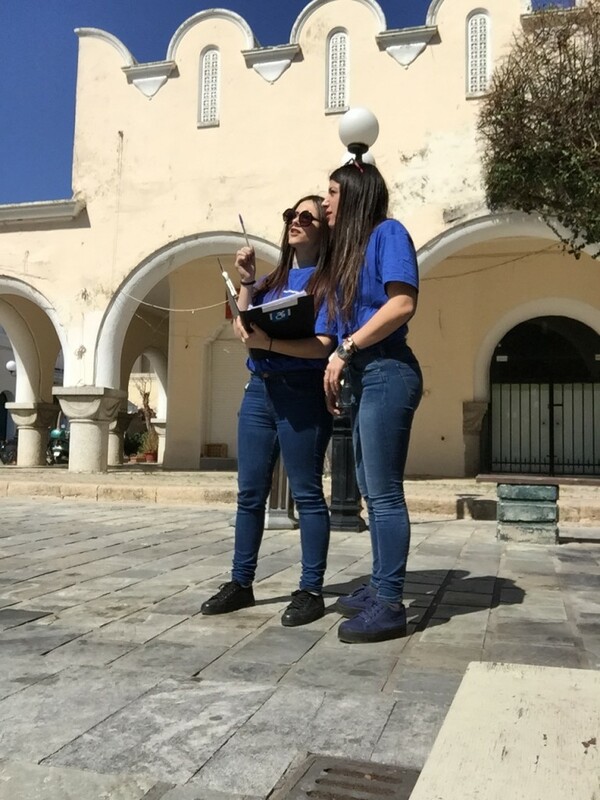 At the same time, teamwork and cooperation were promoted through the efforts of the participants to pursue the mission of the project. 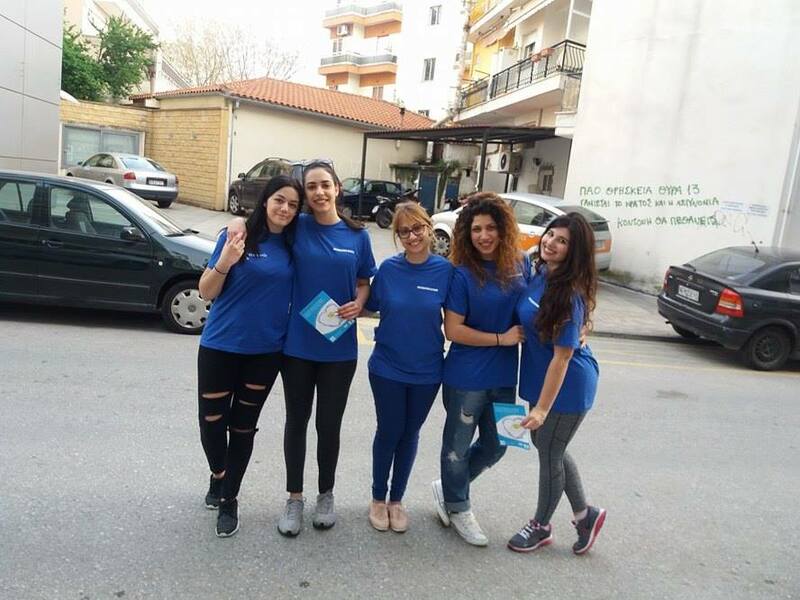 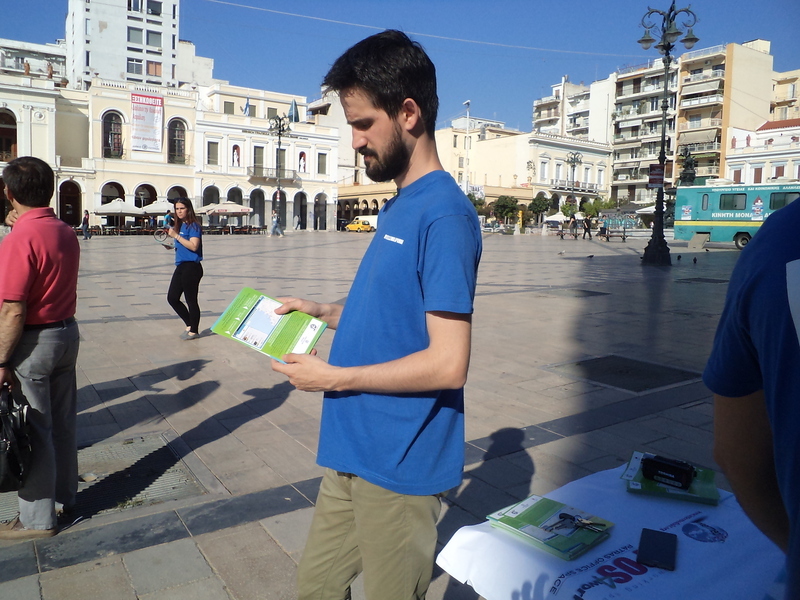 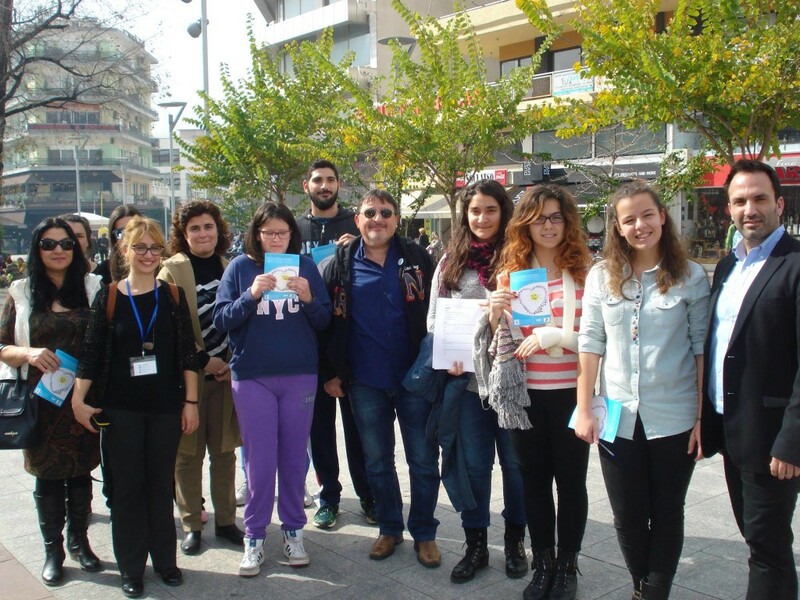 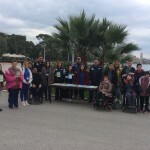 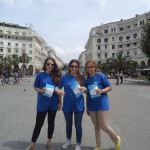 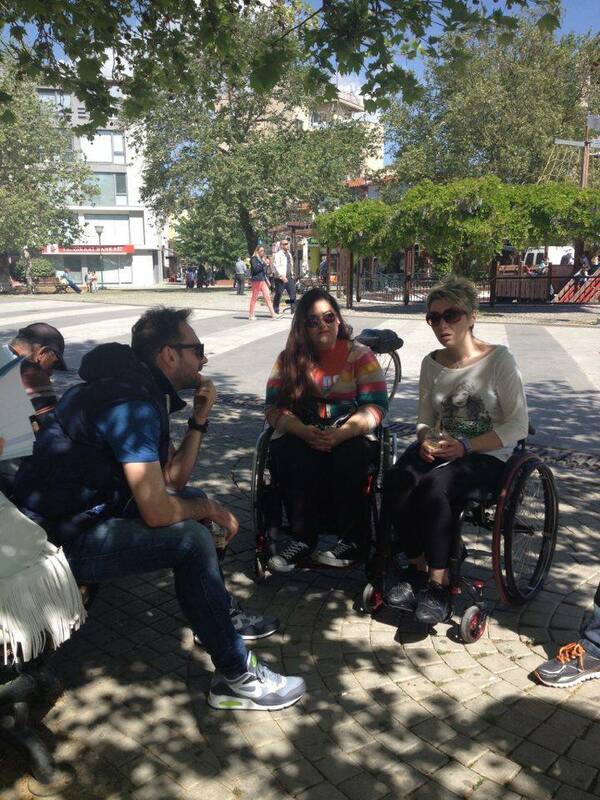 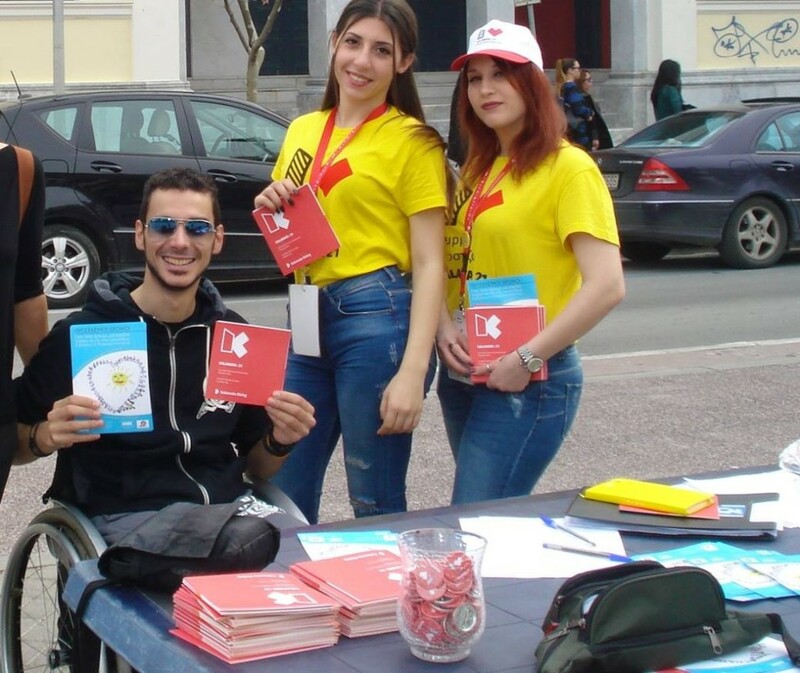 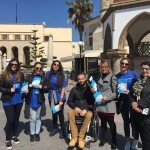 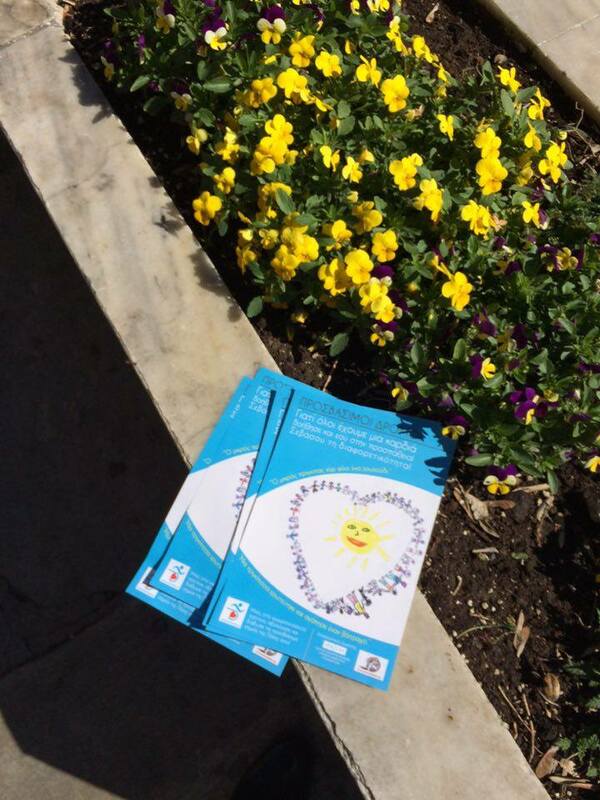 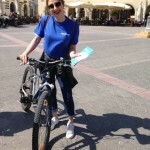 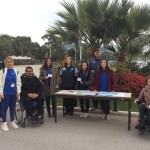 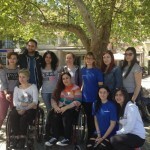 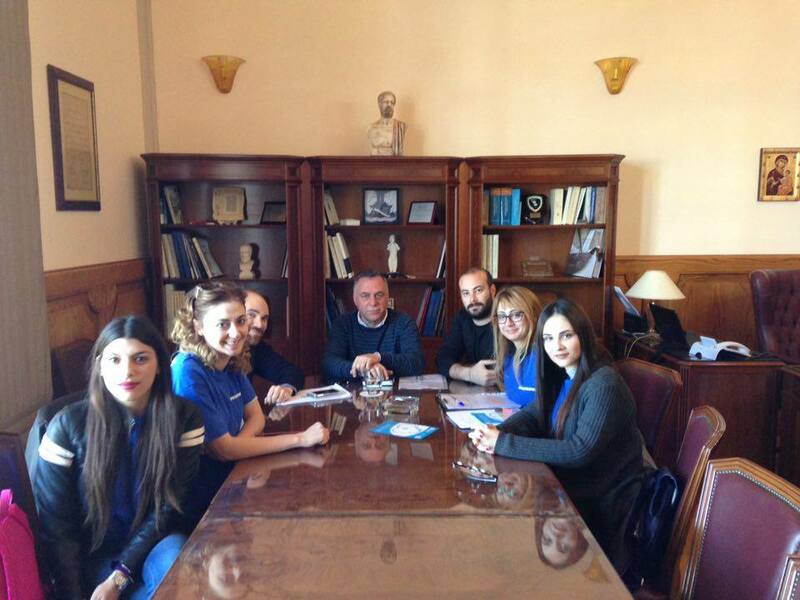 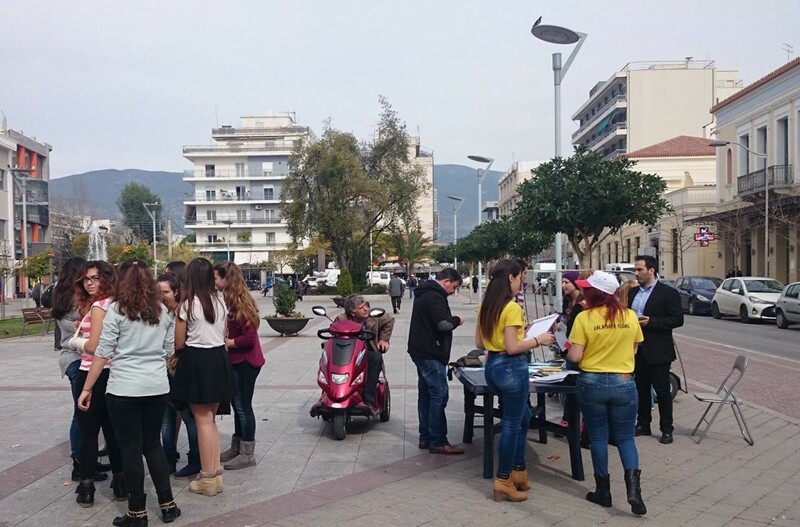 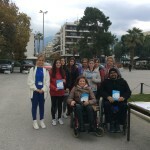 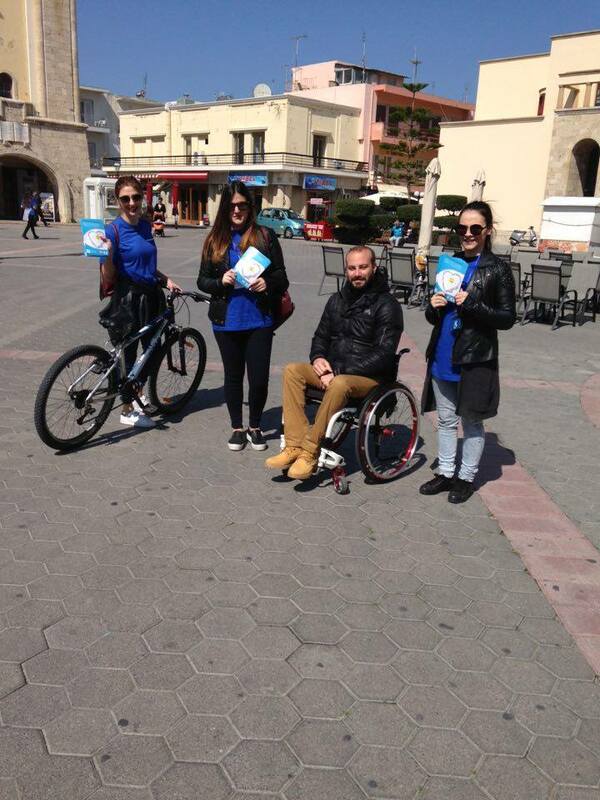 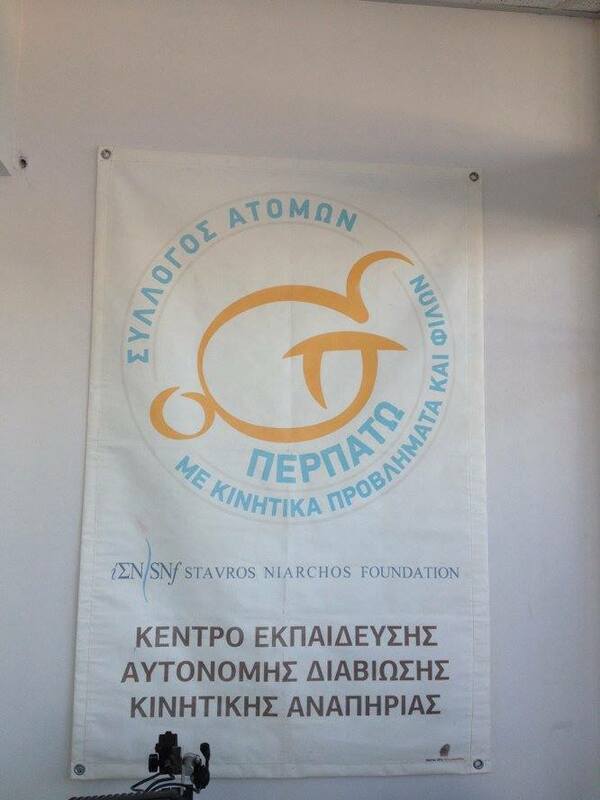 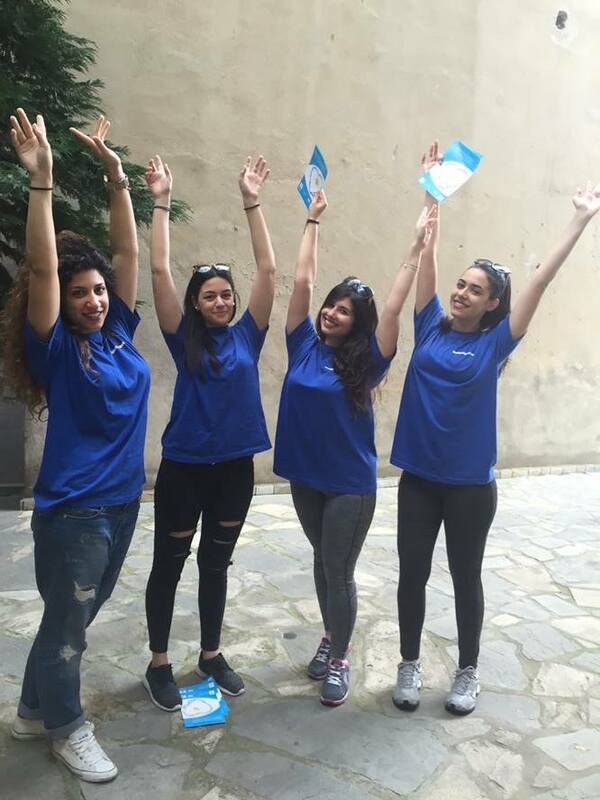 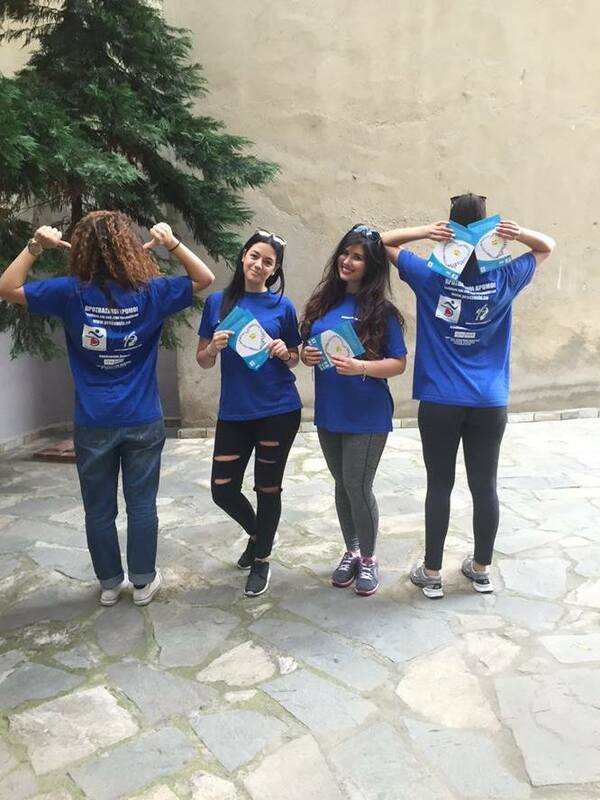 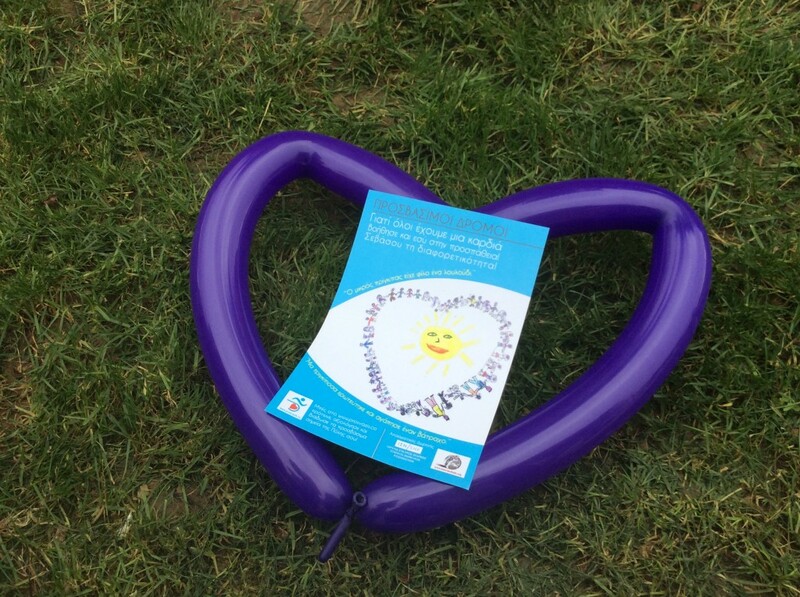 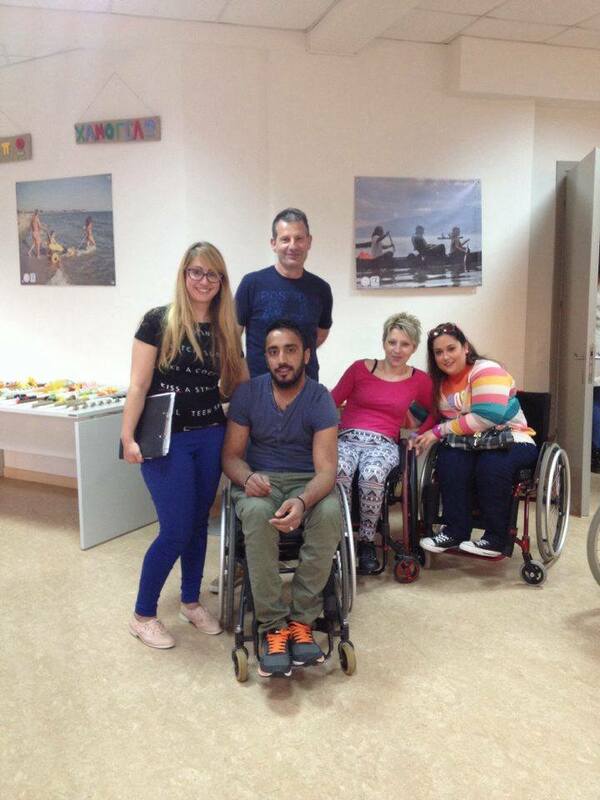 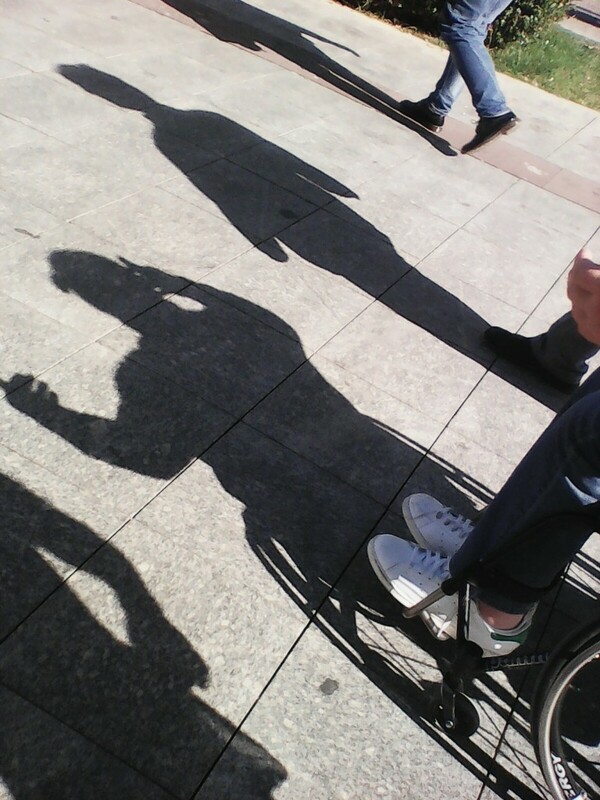 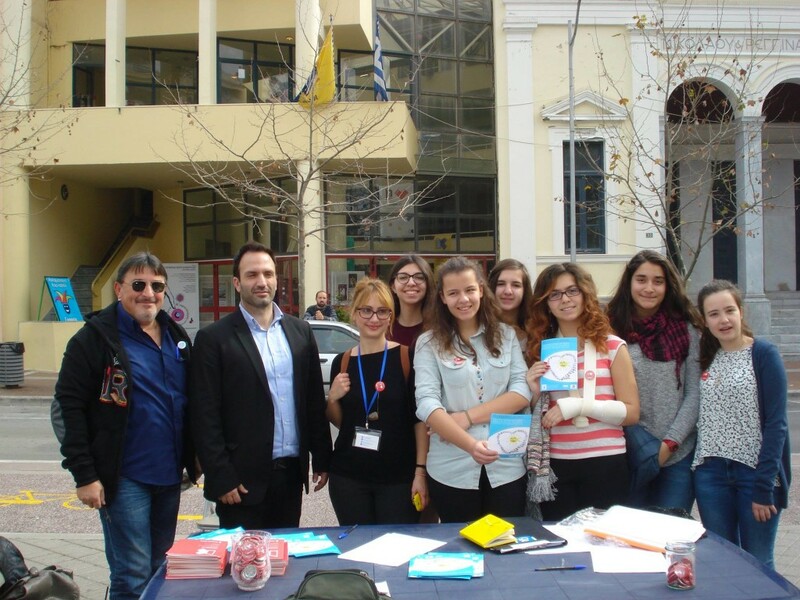 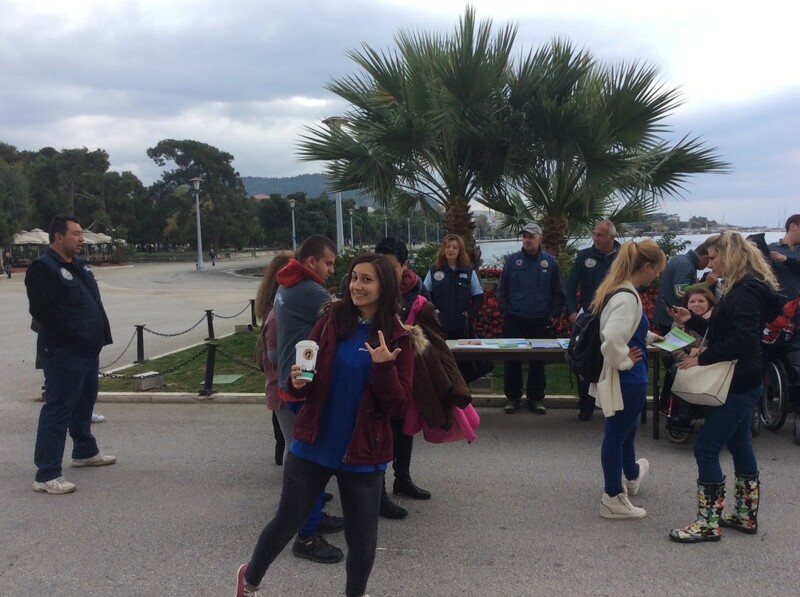 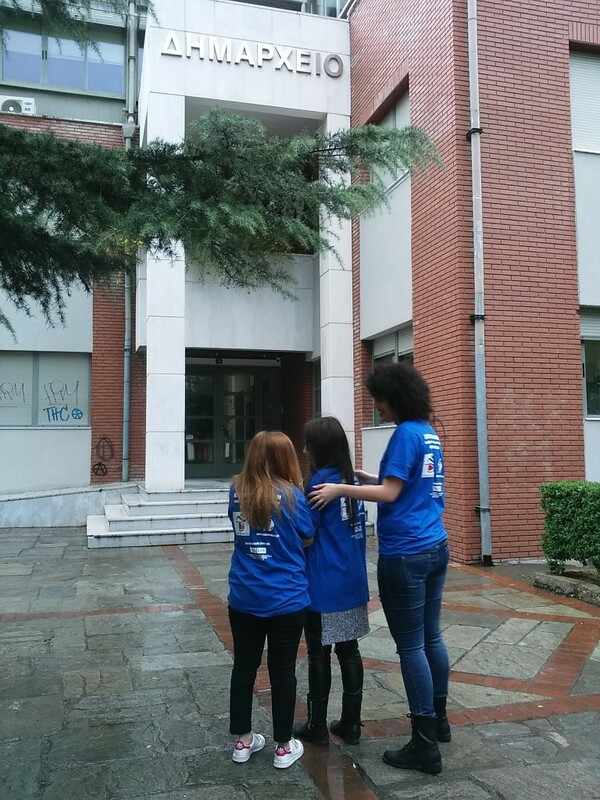 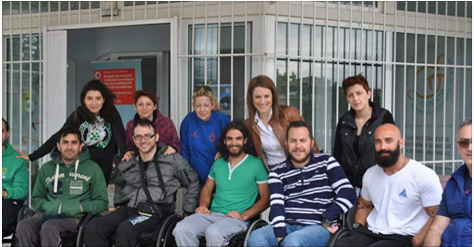 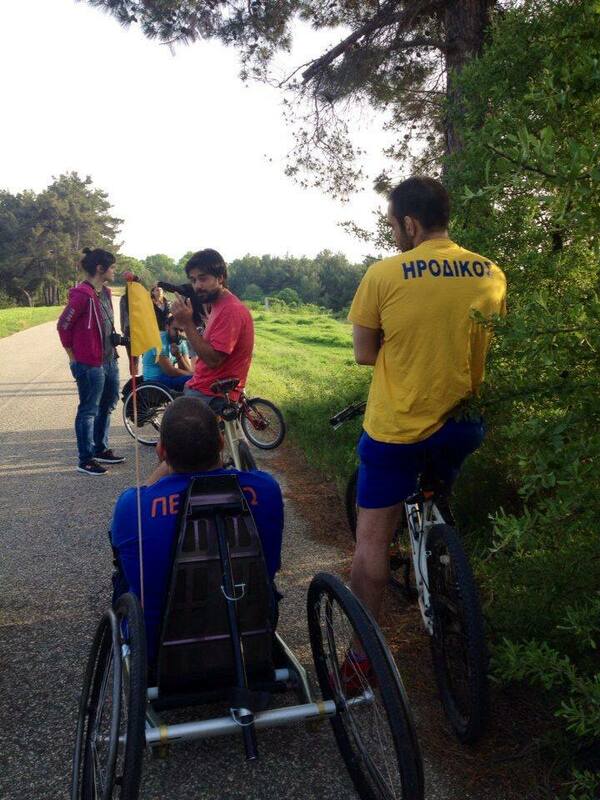 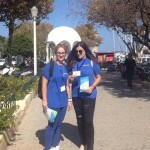 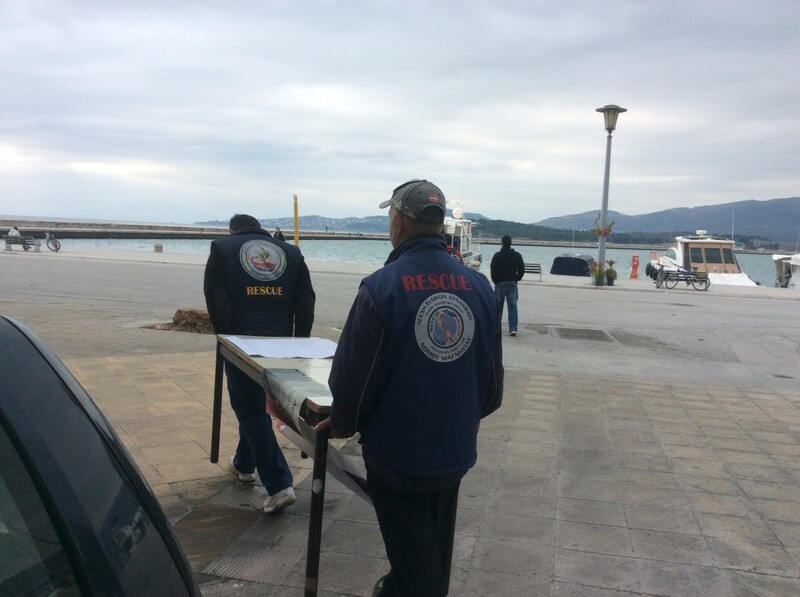 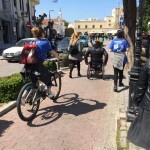 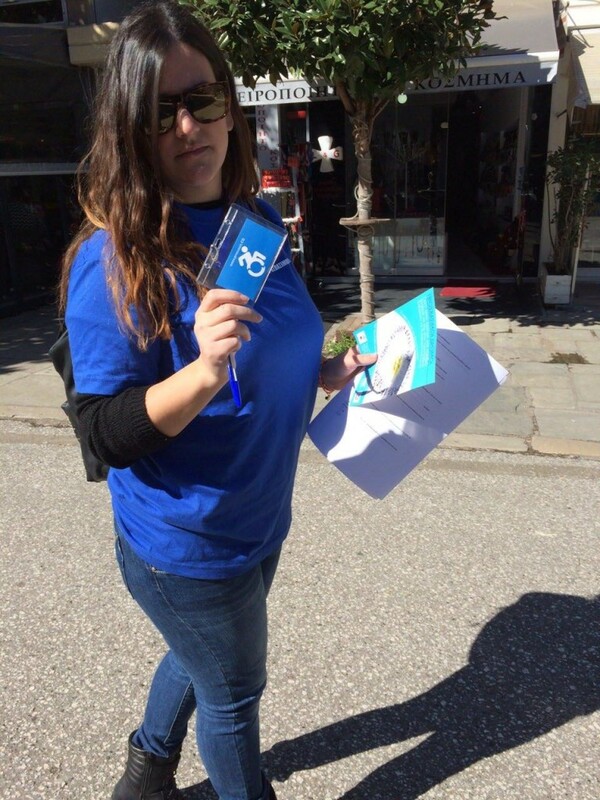 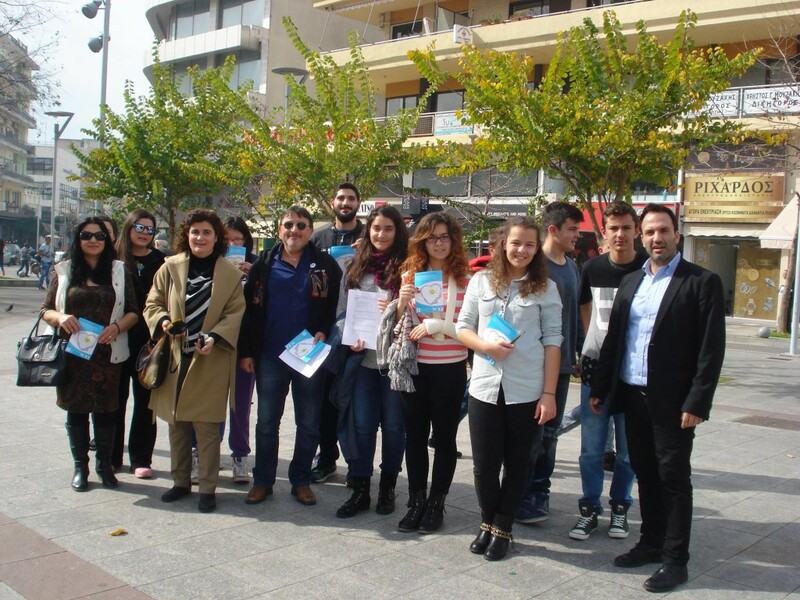 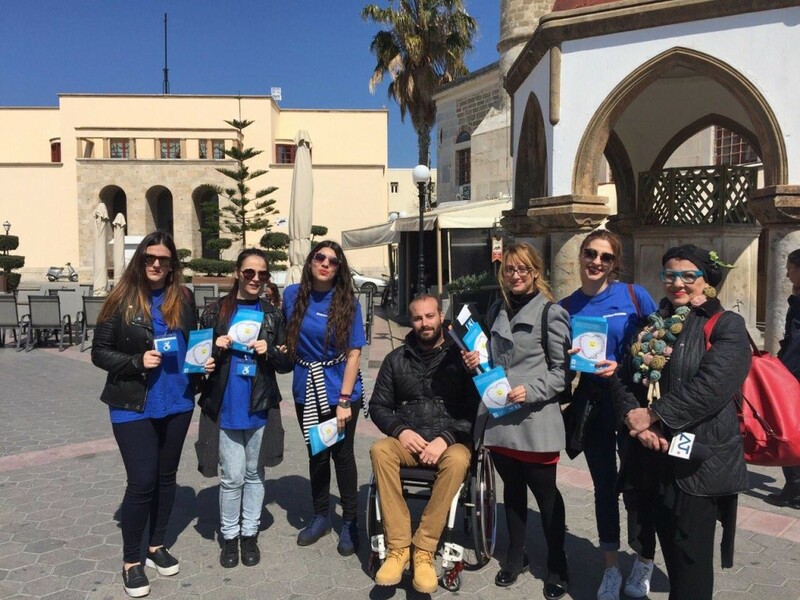 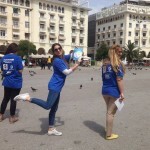 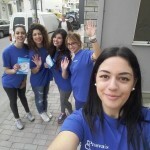 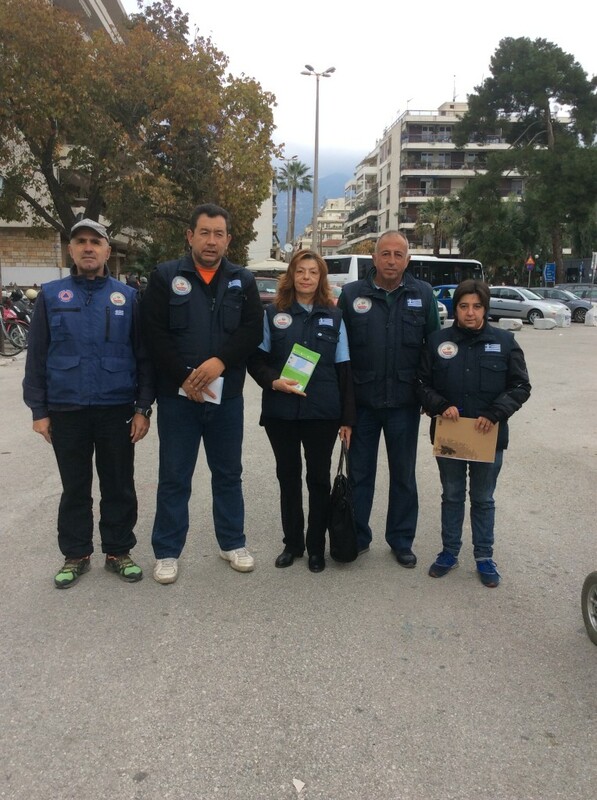 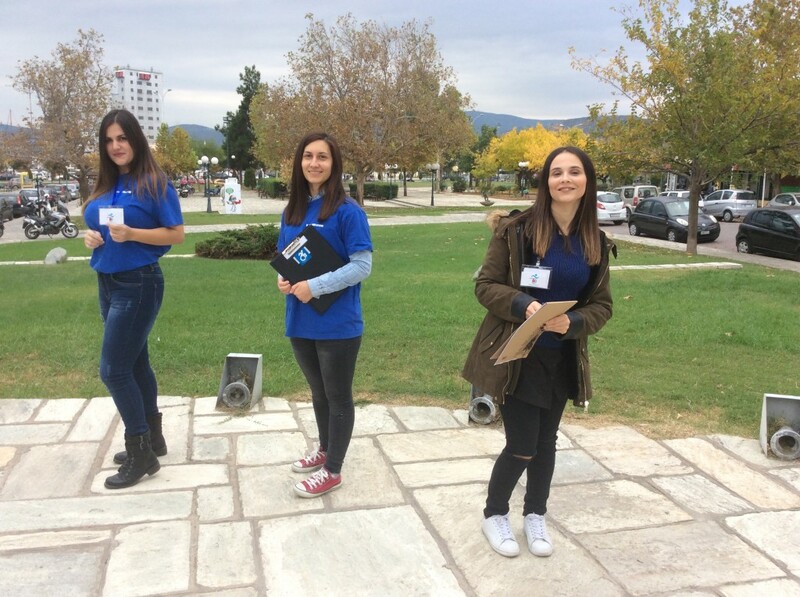 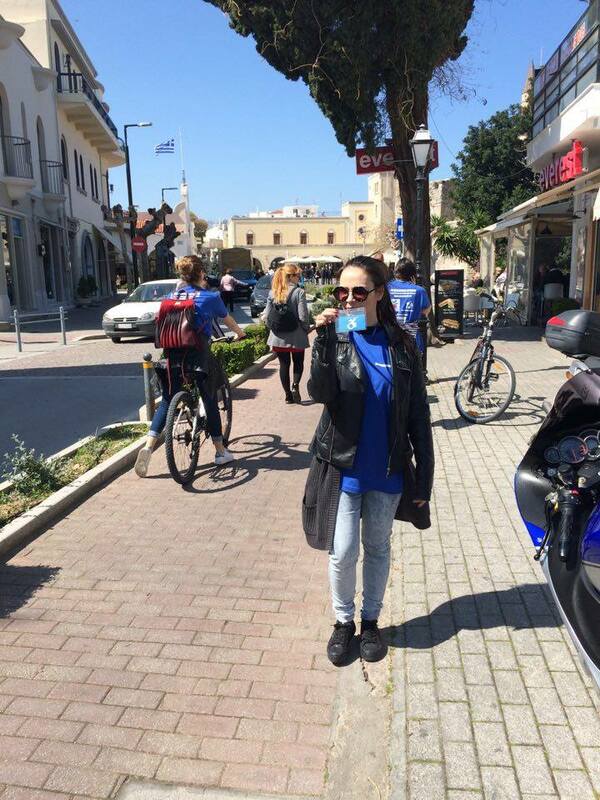 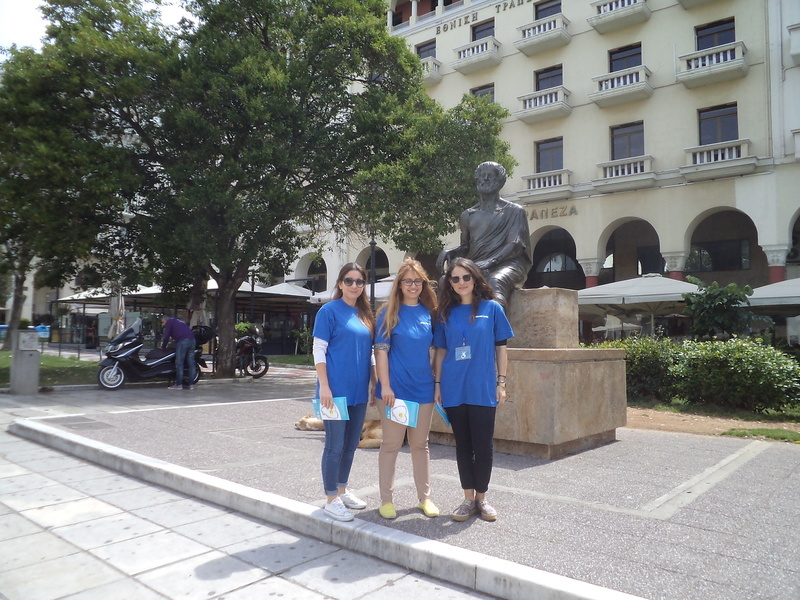 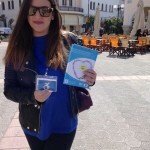 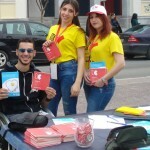 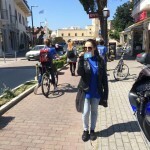 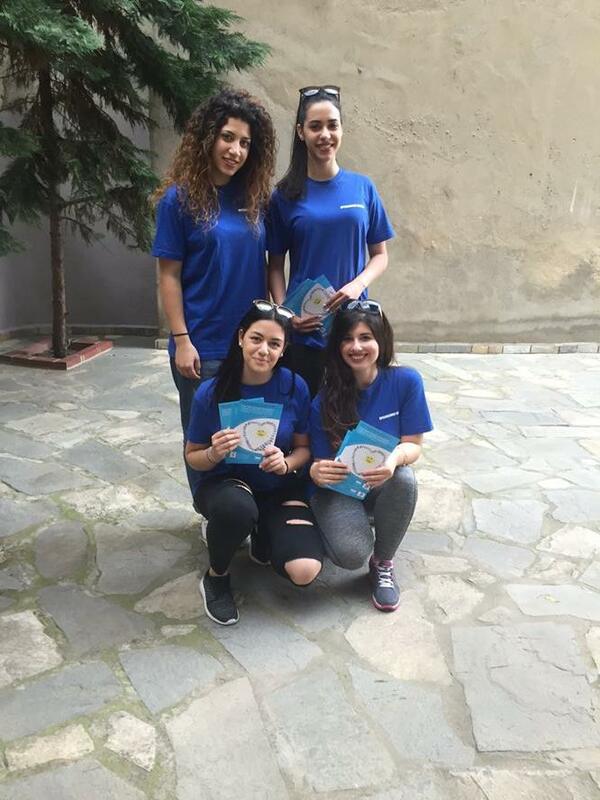 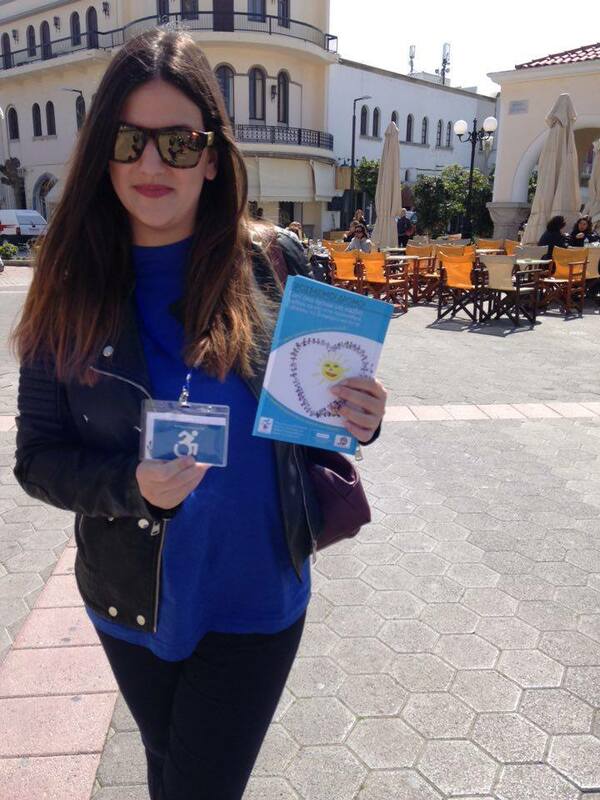 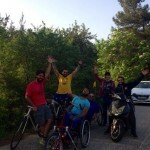 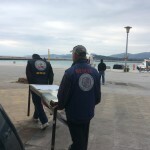 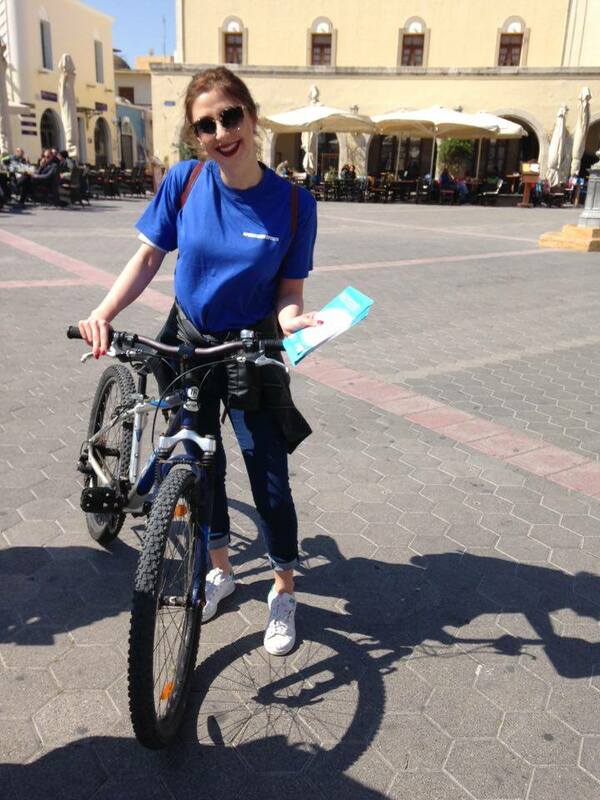 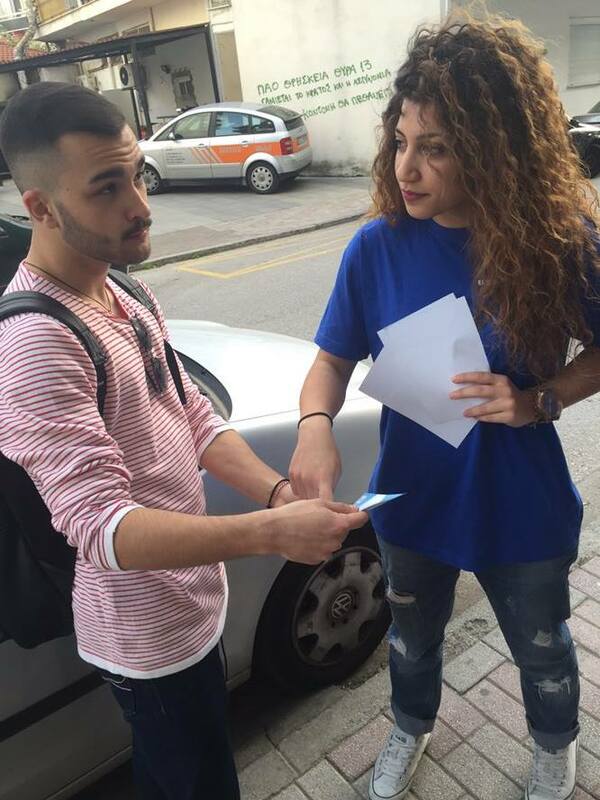 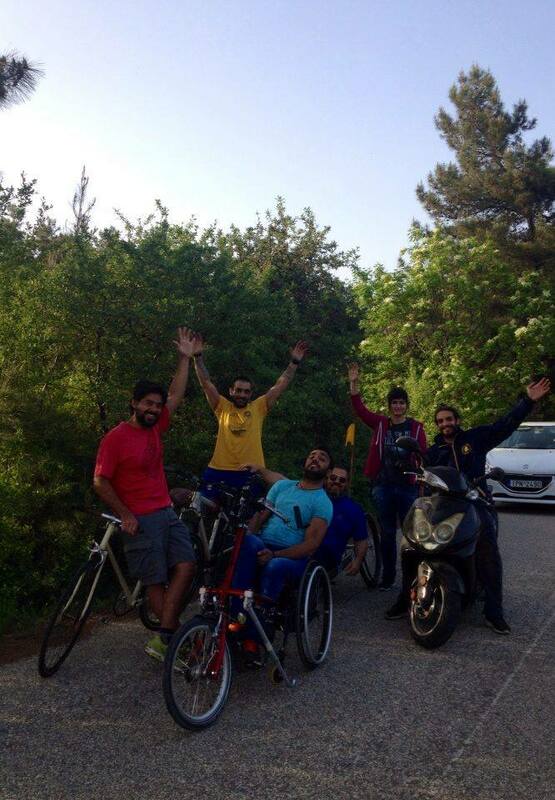 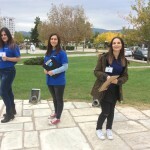 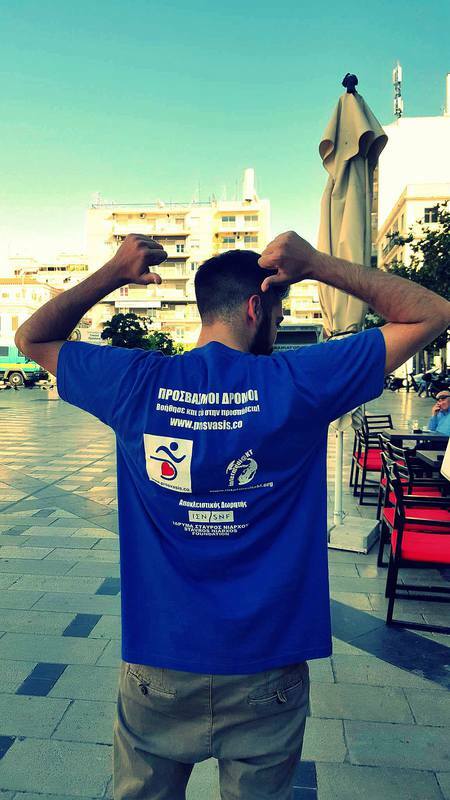 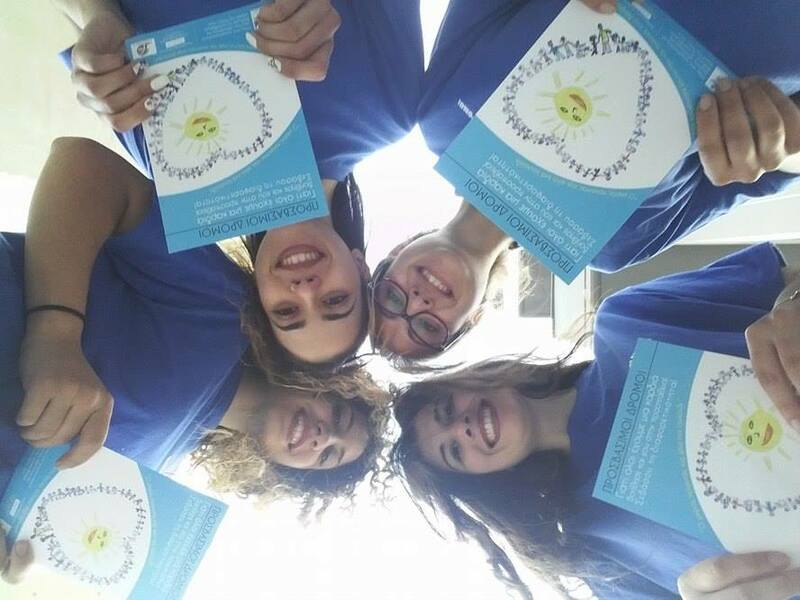 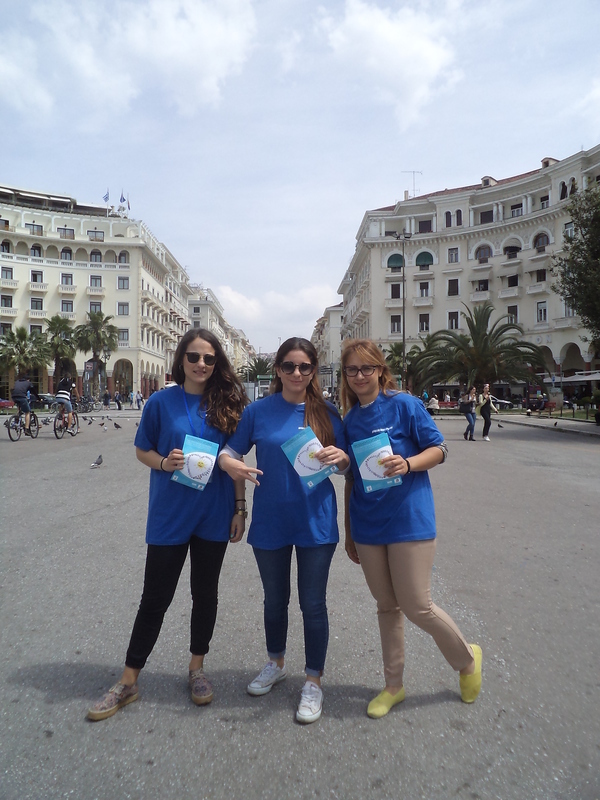 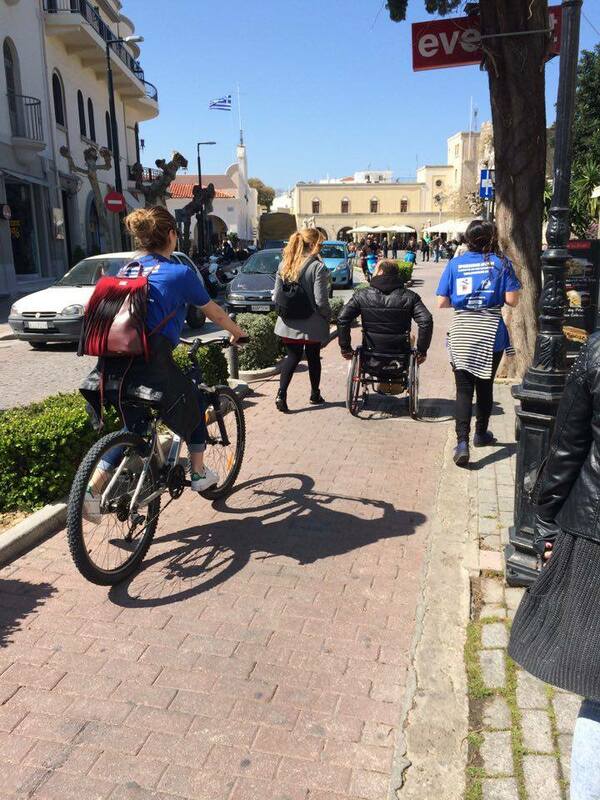 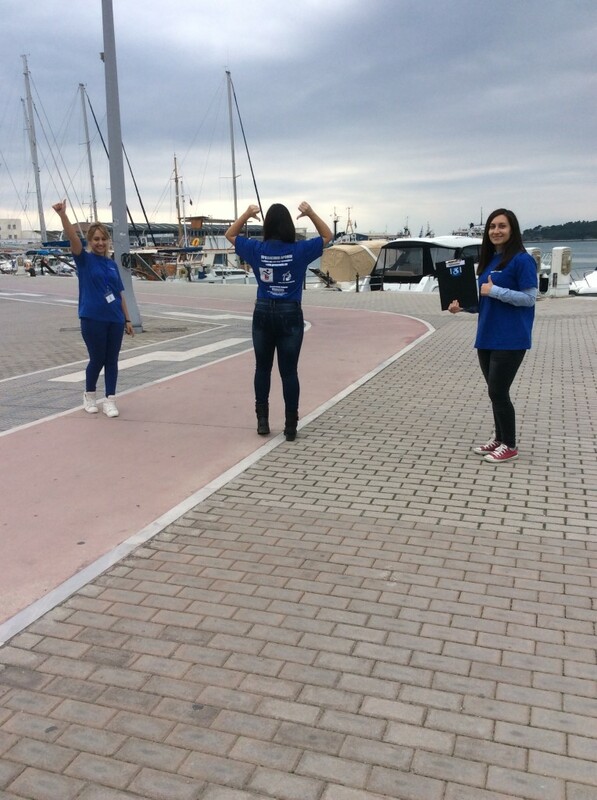 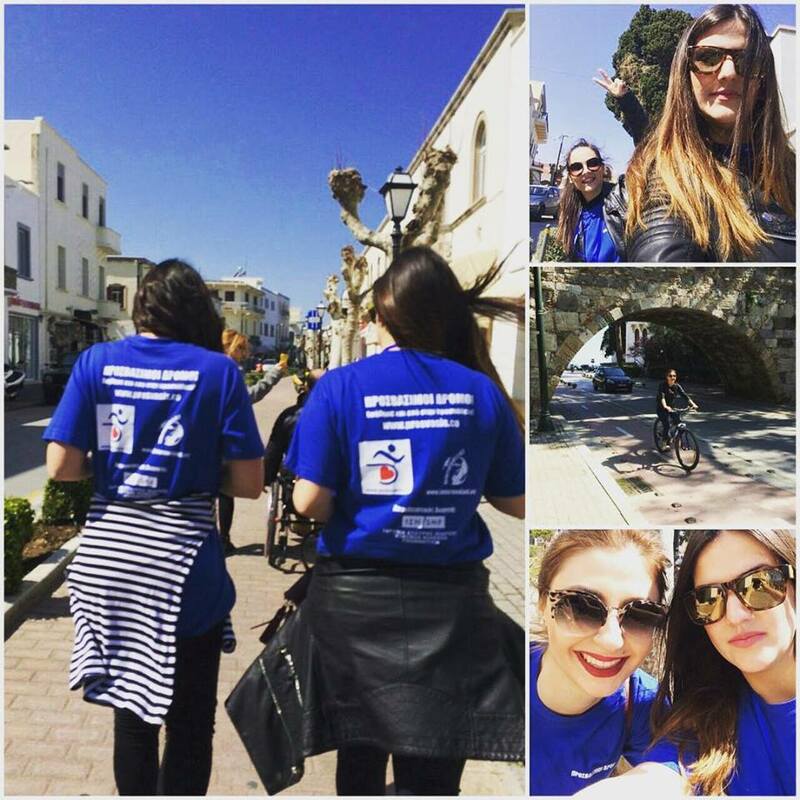 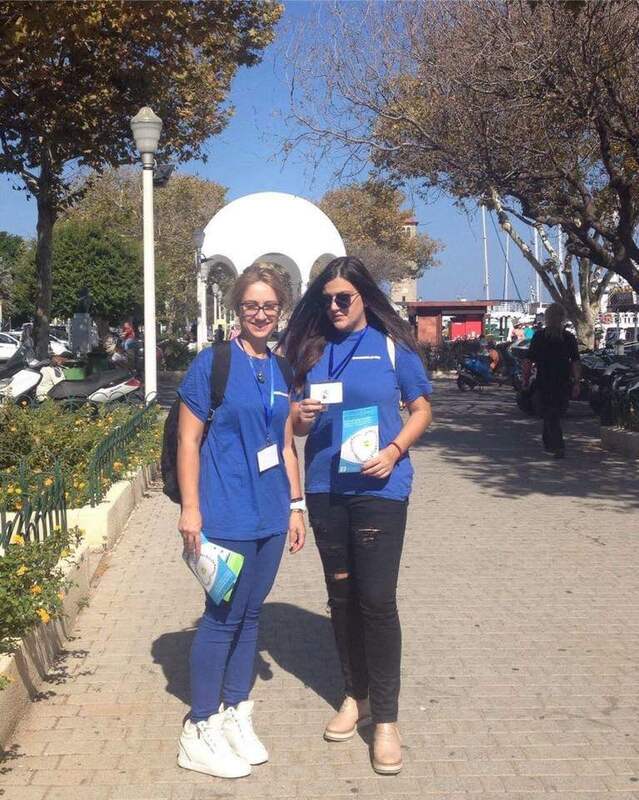 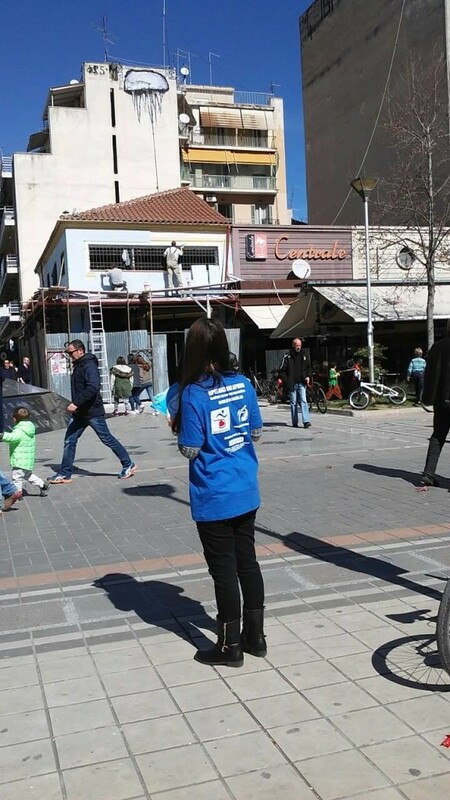 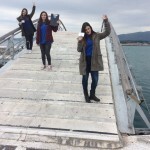 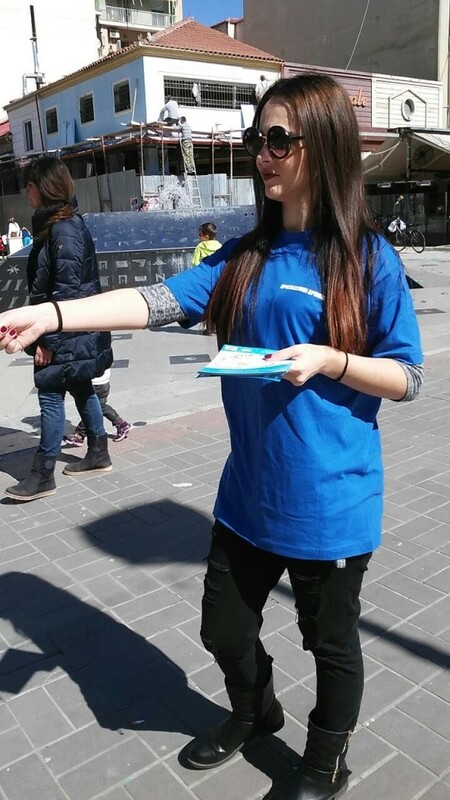 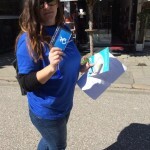 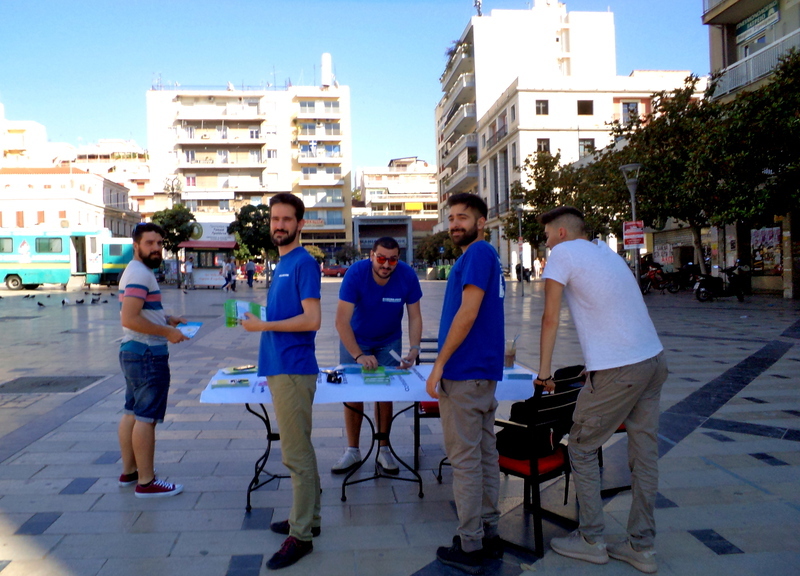 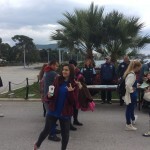 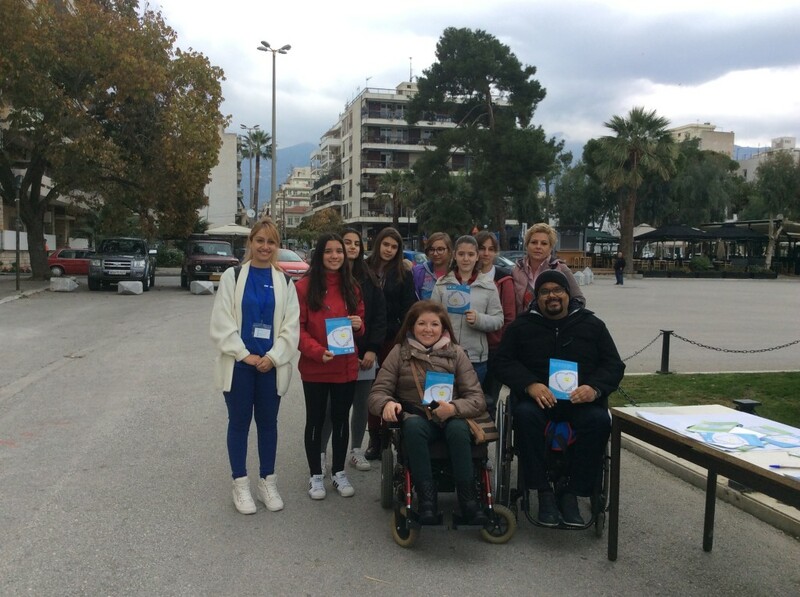 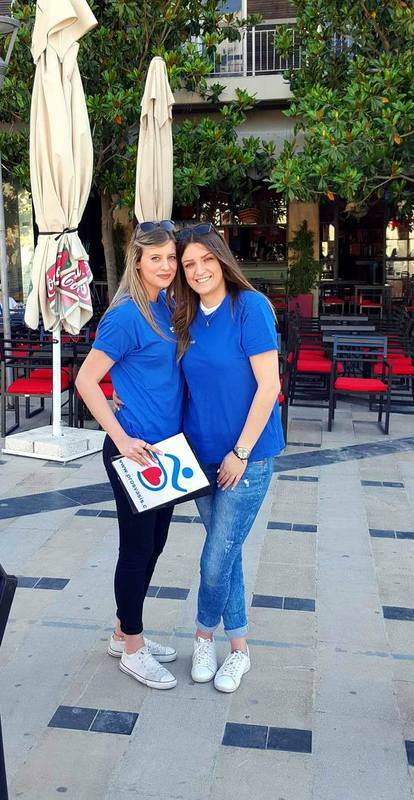 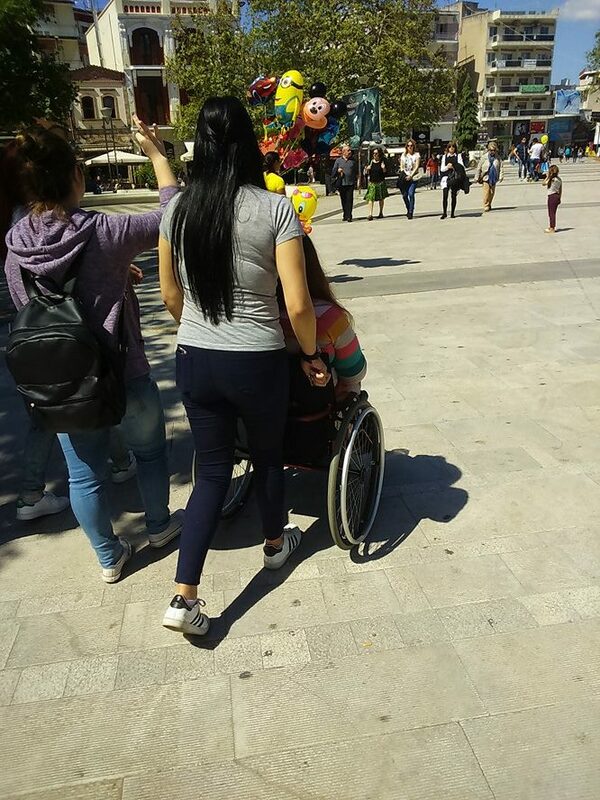 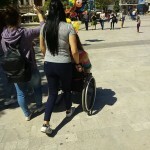 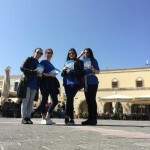 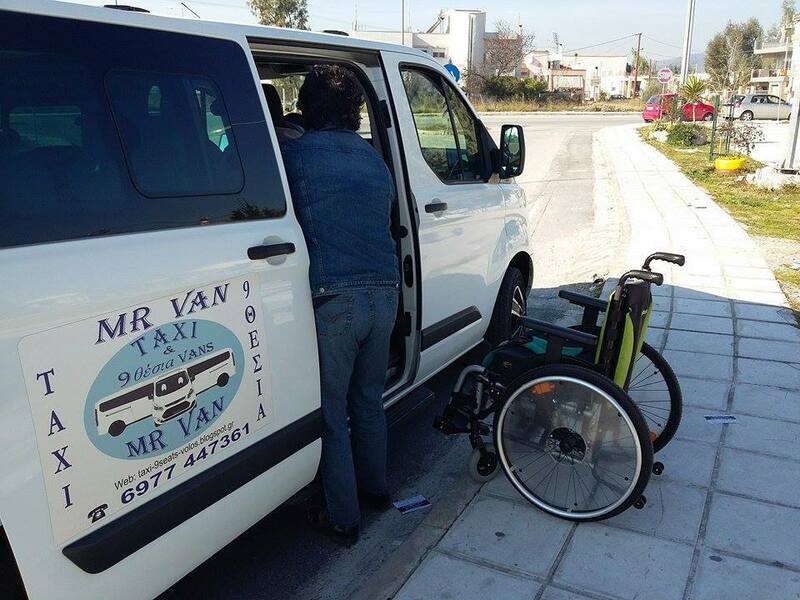 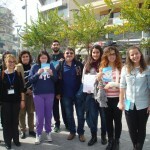 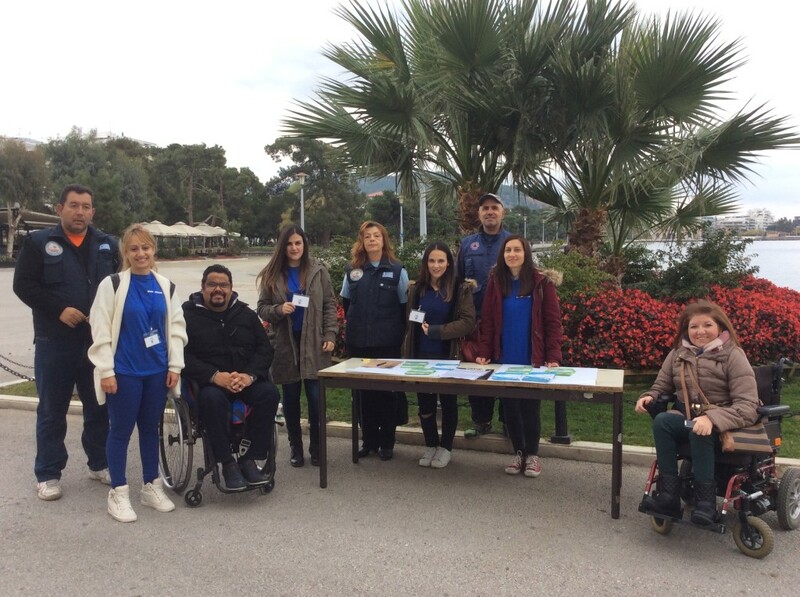 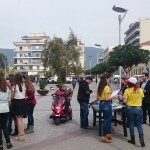 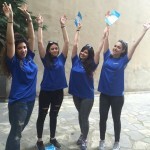 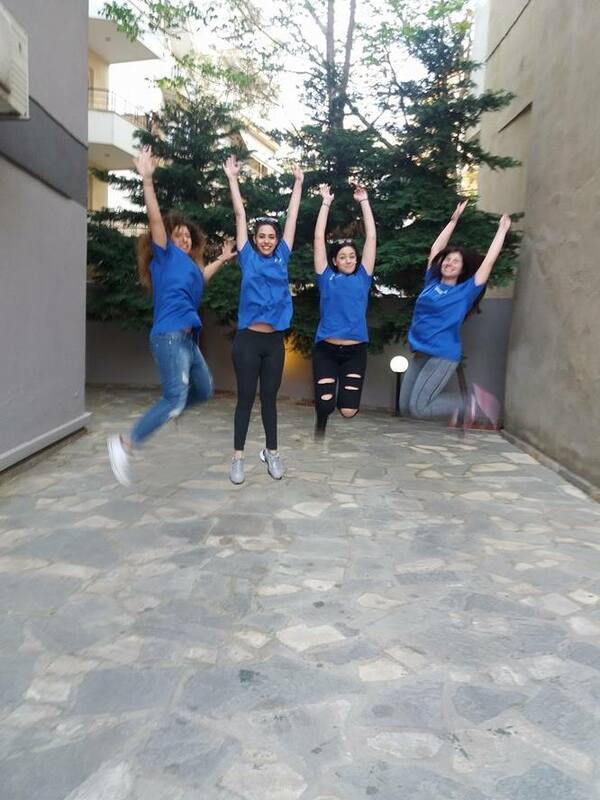 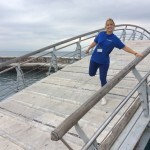 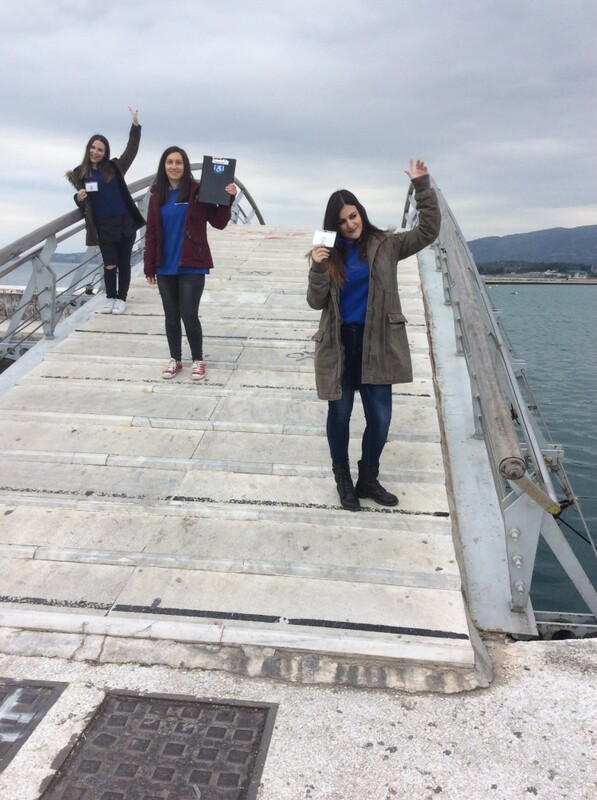 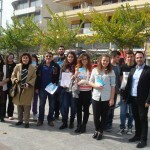 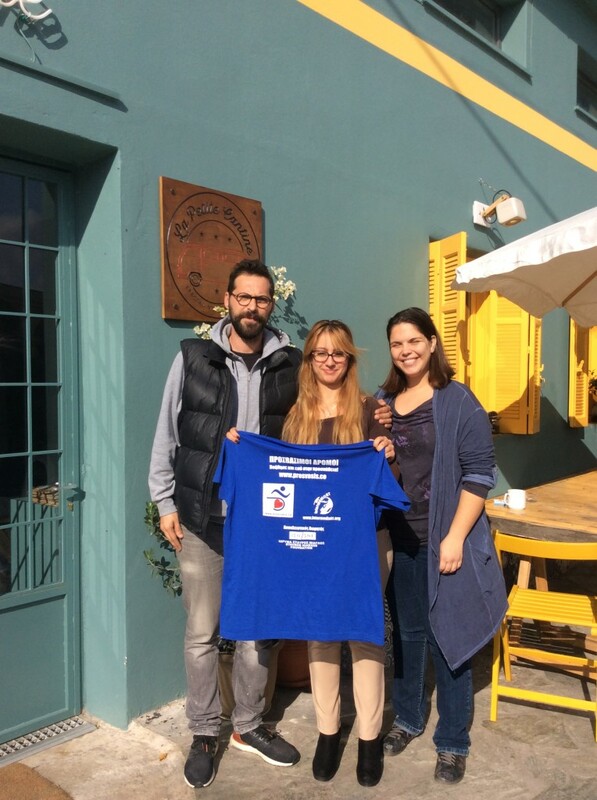 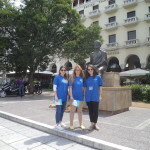 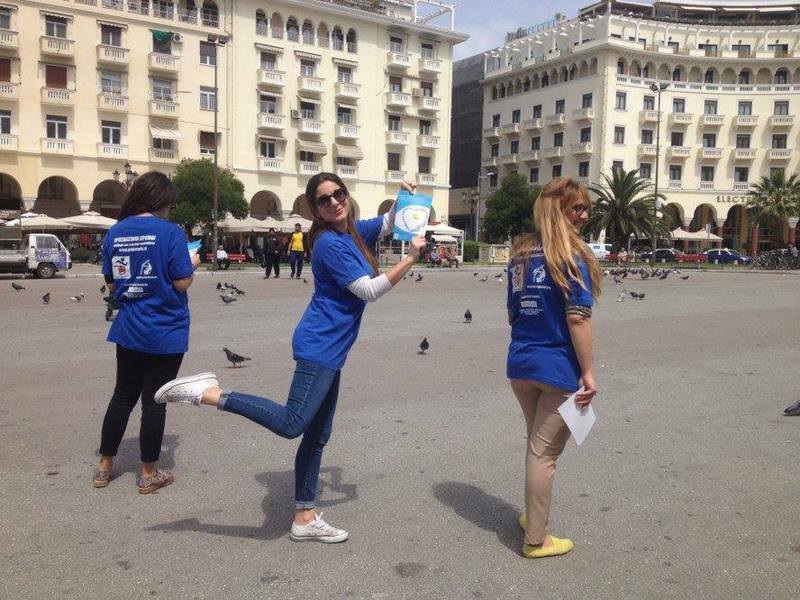 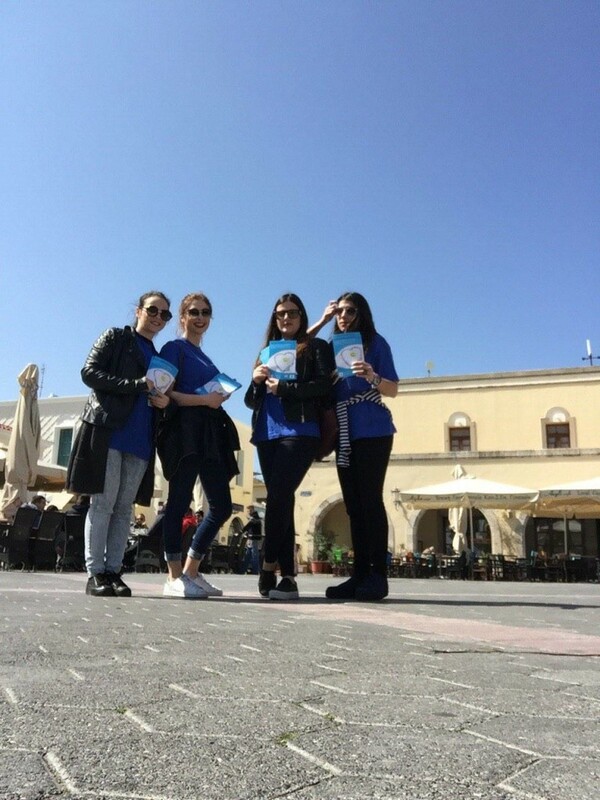 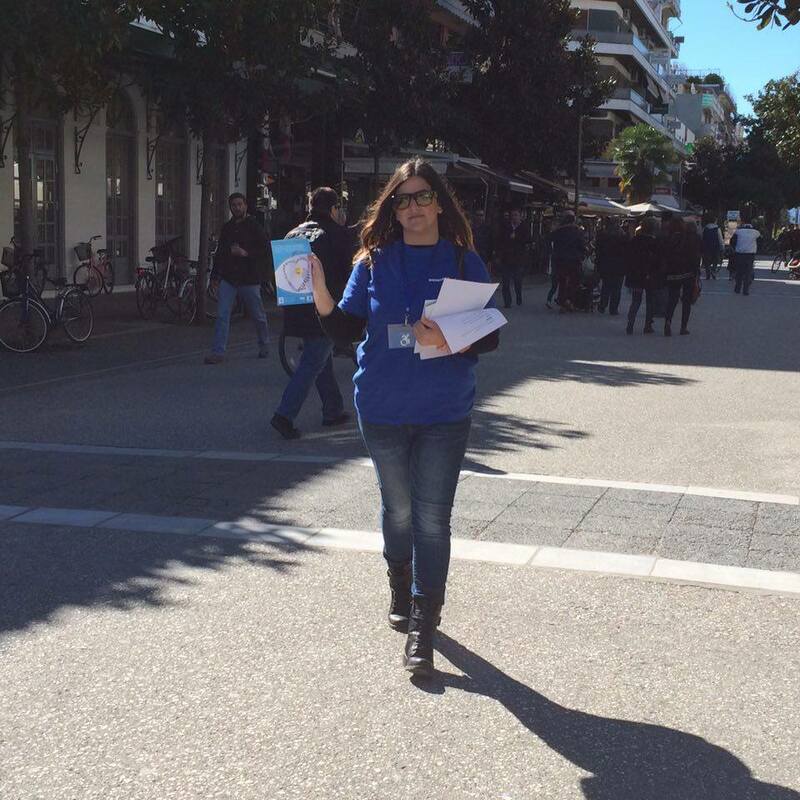 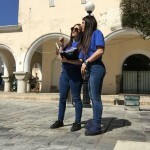 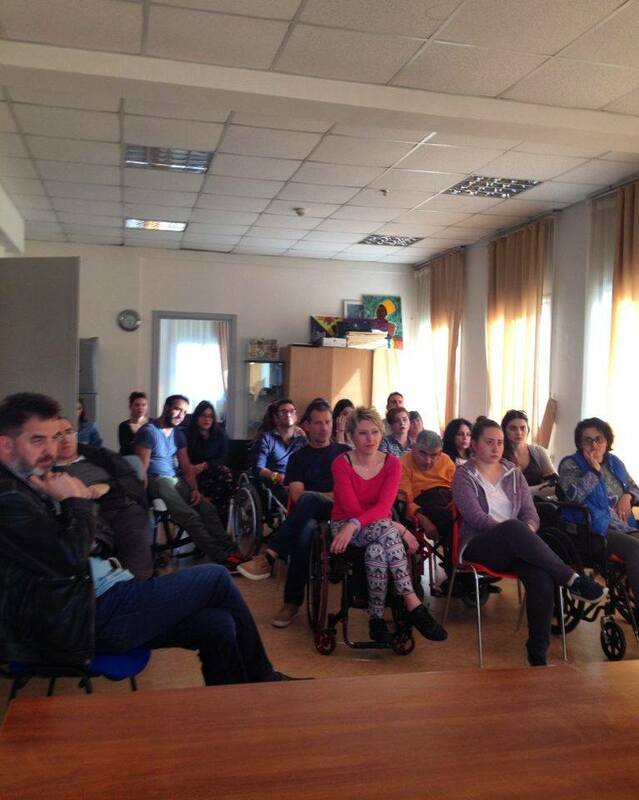 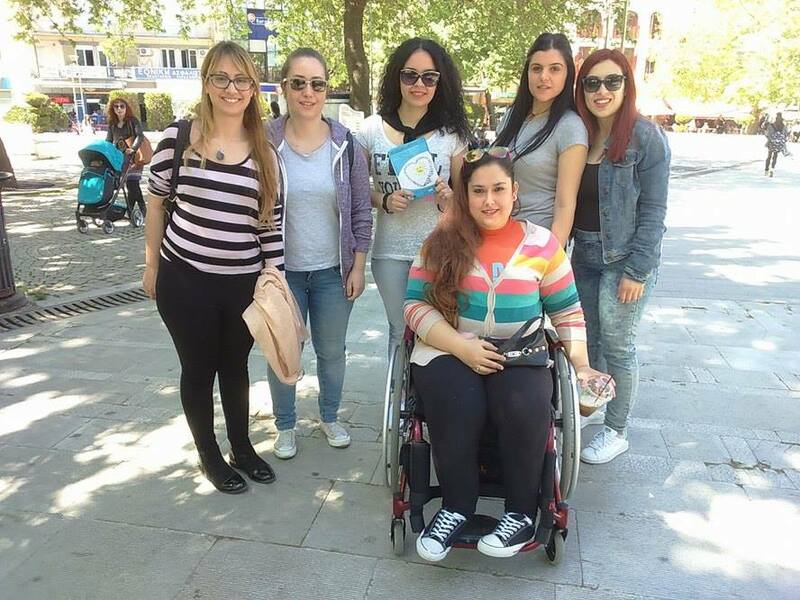 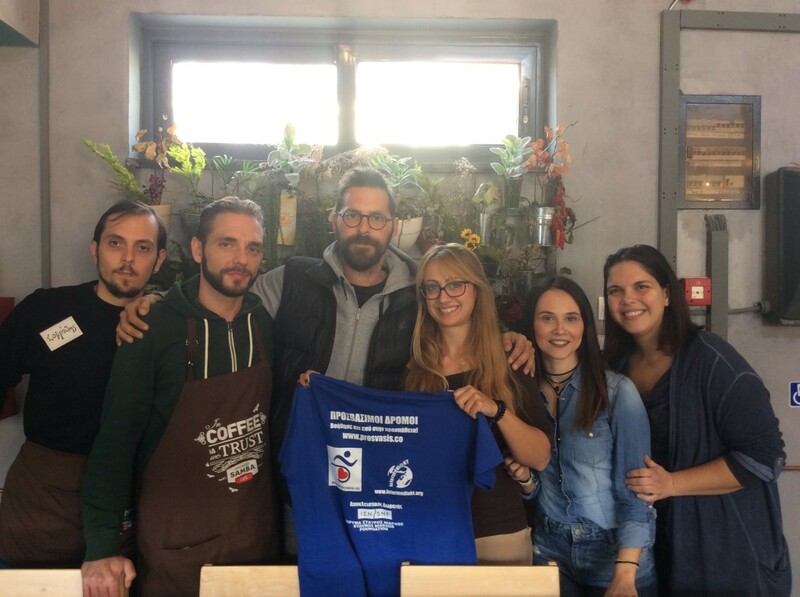 During the implementation; members of our teams, young people and volunteers, with or without disabilities visited various Greek cities and interacted with each other. 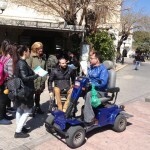 We were attentive to the needs of physically challenged people, gathered information to enrich the platform, trying to make everyday lives of some of our fellow citizens a little easier and a lot more accessible. 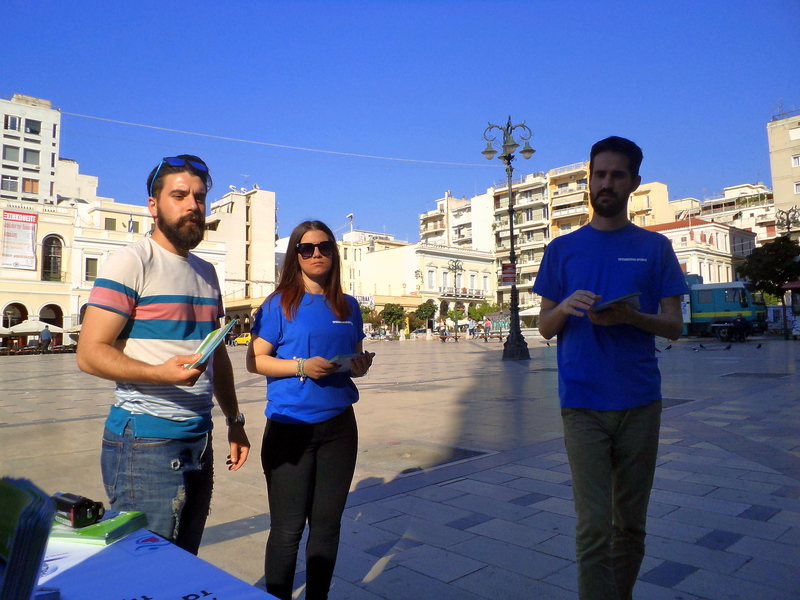 Our journey included more than 35 volunteers, 9 Greek cities, and six months of endless exploration; the outcome was an online platform with over a thousand accessible points and new users. 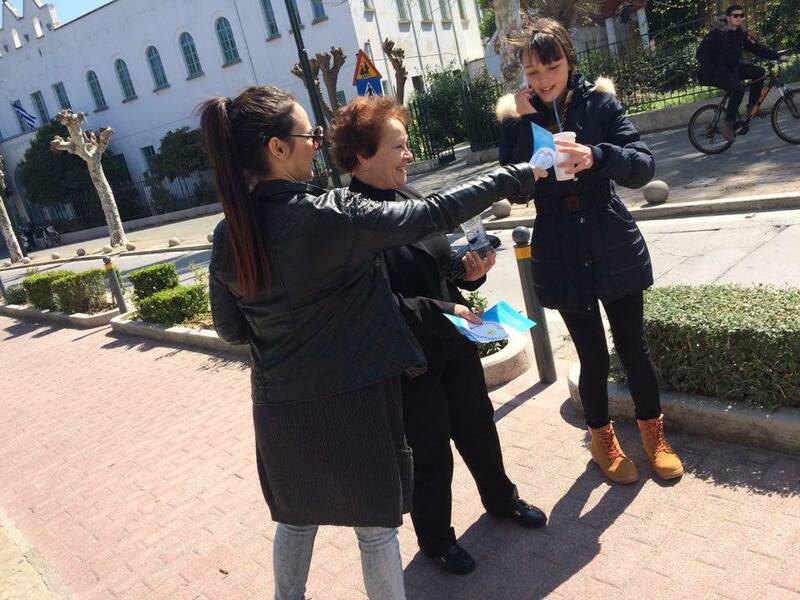 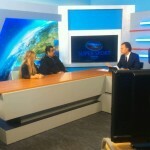 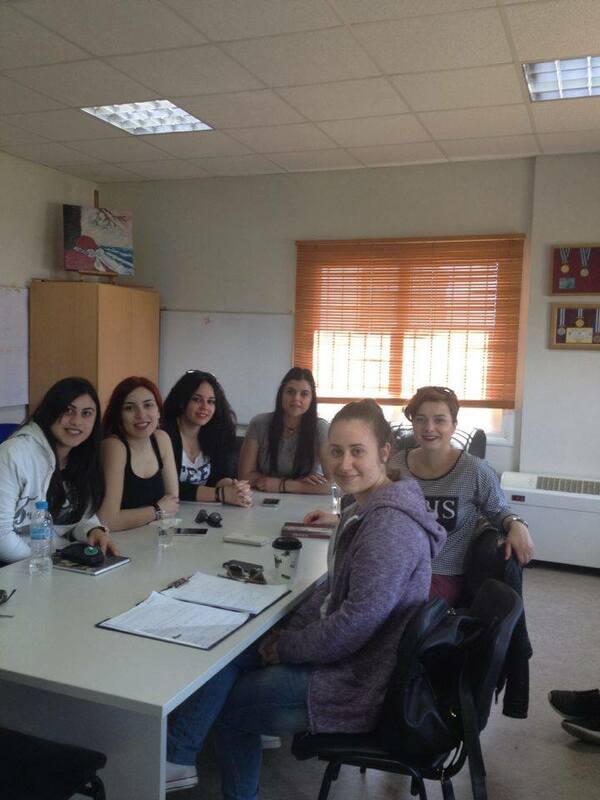 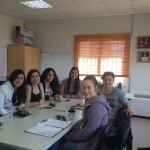 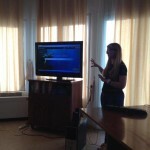 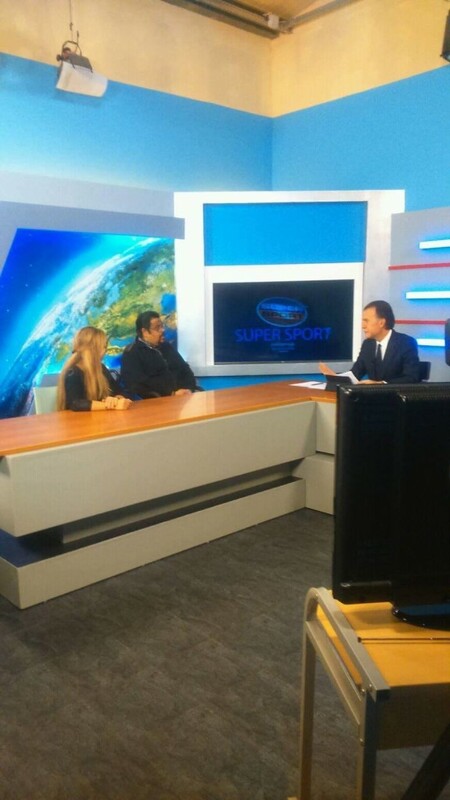 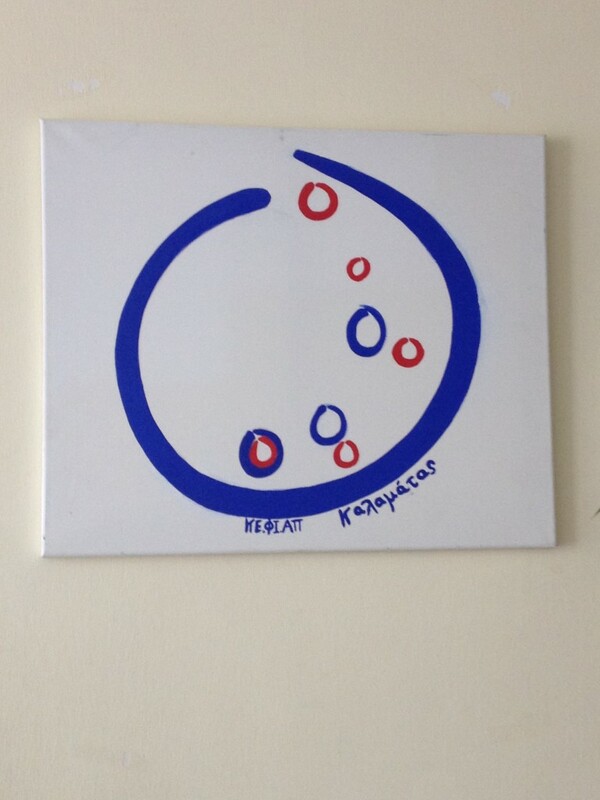 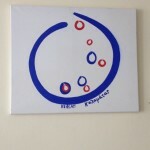 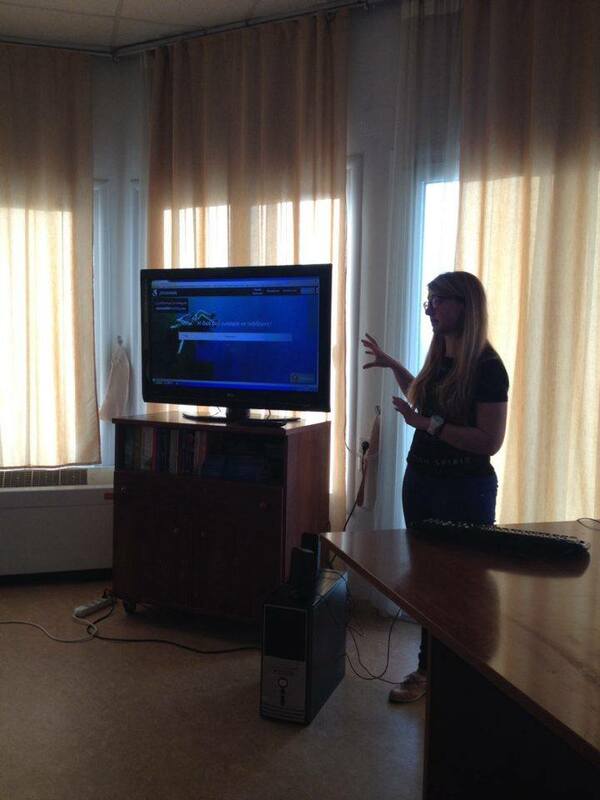 The more time and effort we devoted to the project activities, the more people were joining us. 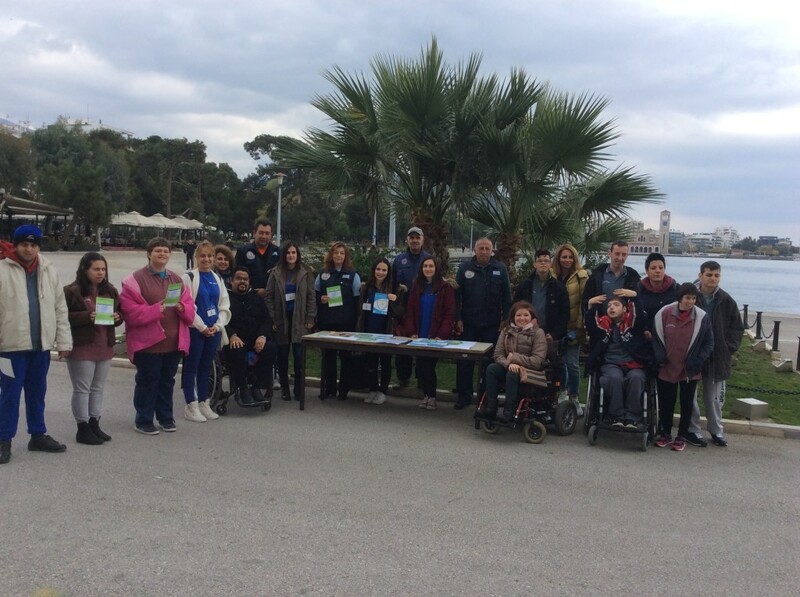 We metkey persons and associations as well as people with disabilities, all of whom helped increase the reach of our platform. 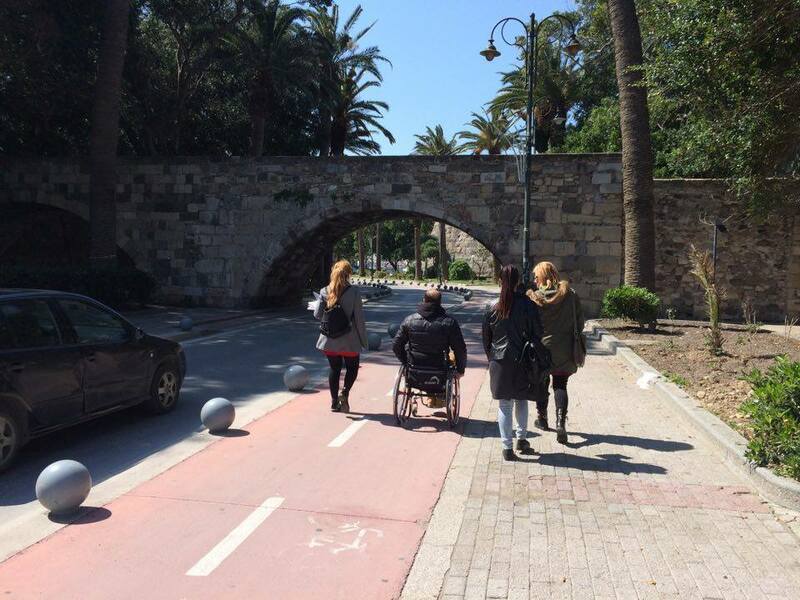 The completion of the first phase of “Accessible routes” comes with a set of evaluation criteria and feedback. 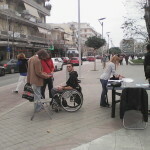 To our pleasure the projectwas met with the remarkable interest of people with disabilities who are also our main target group and end users.The interest was prominent by other social groups as well; quite a few charity organizations and institutions contacted us to ascertain their support, allowing us to effectively measure the impact of Prosvasis.co actions and philosophy. 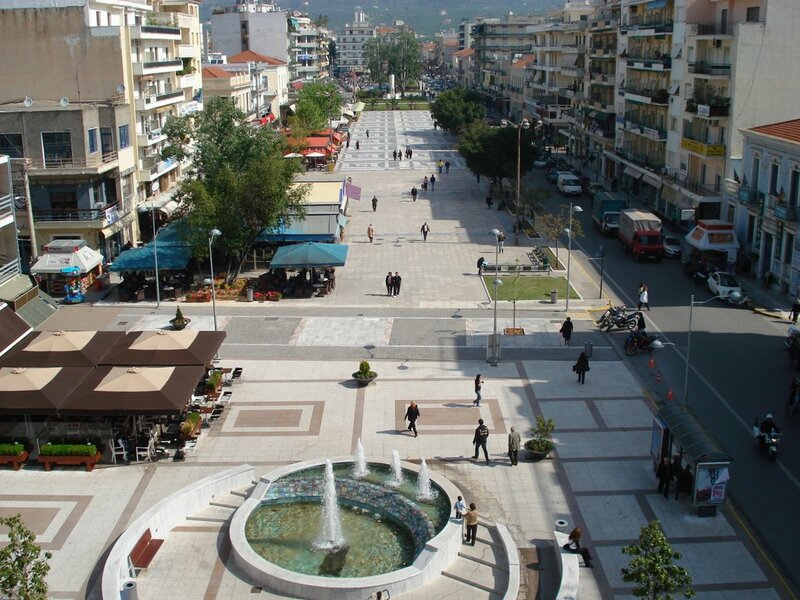 One of our most important achievements though, lies in the engagement of local authorities in the project, bringing us closer to our vision. 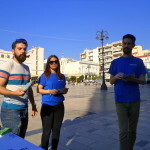 A vision which seeks to build the foundations for a mentality rid of stereotypes and negative attitudes and the cultivation of an inclusive and accessible culture, significantly lacking in the Greek society. 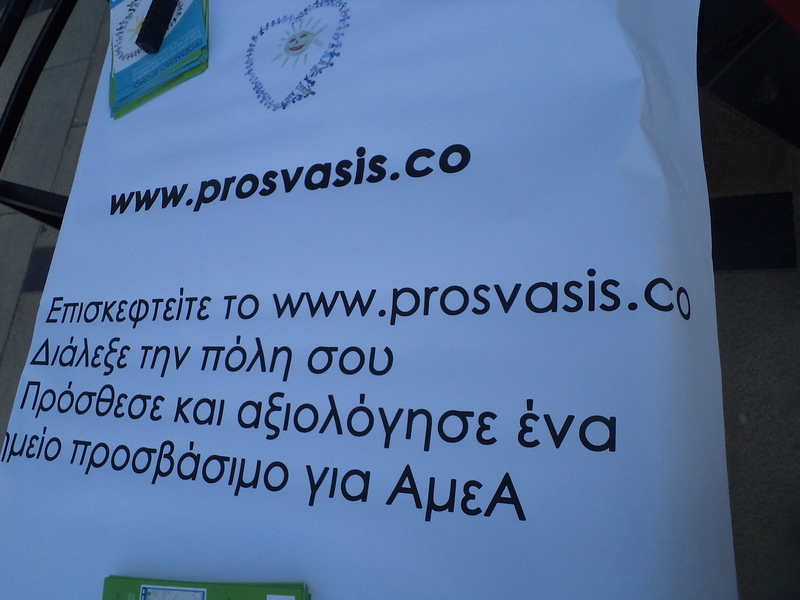 Prosvasis aims to become a high quality online tool with reviews and recommendations within Greece and beyond its borders.